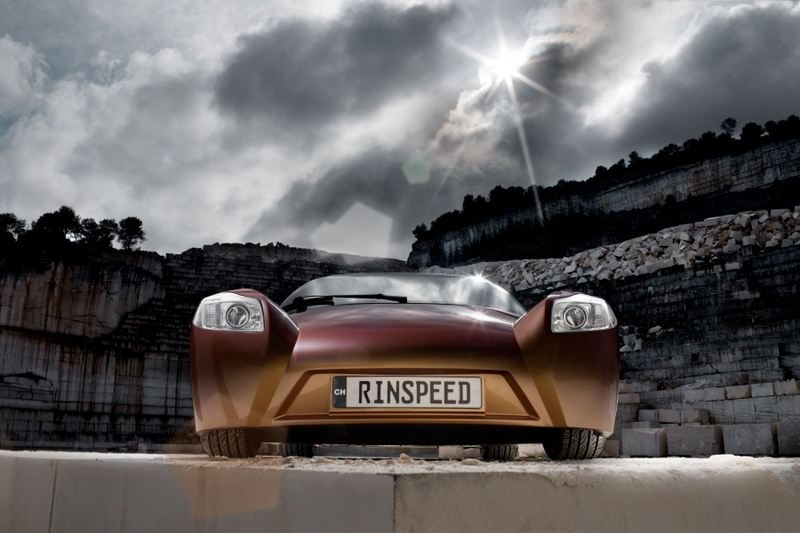 Rinspeed AG - Creative think tank for the automotive industry. Where the future is reality – today. 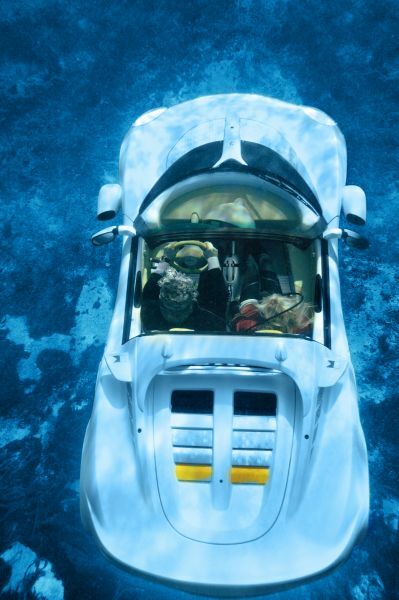 Thirty years after the movie thriller ‘The Spy Who Loved Me’ hit the silver screen “sQuba” is the first car that can actually ‘fly’ under water. 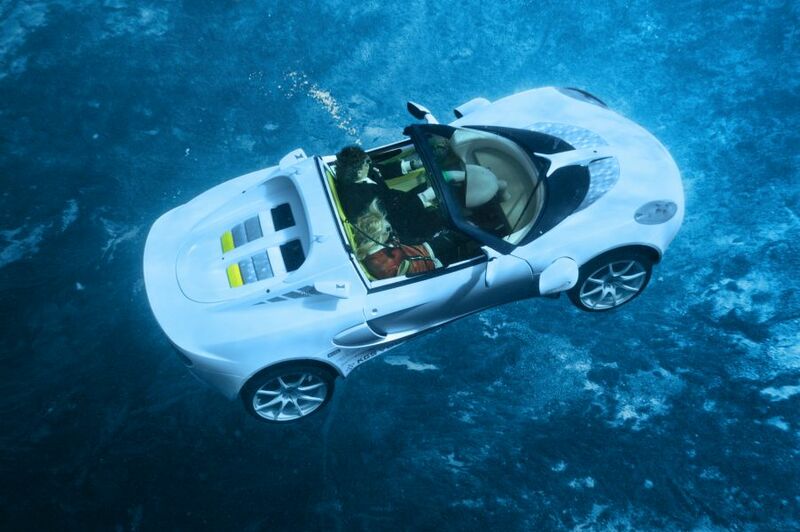 “Dive it again, James!” If the situation gets too hot for the secret agent he’ll go underground - or under water. 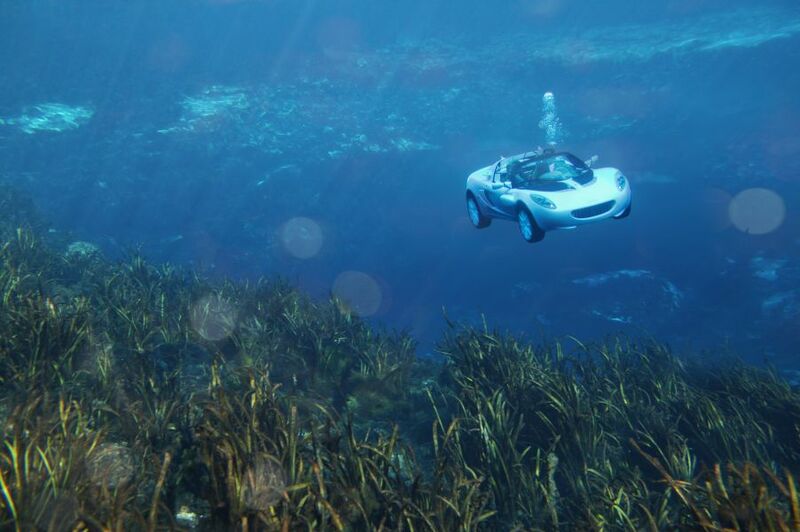 So demonstrated impressively by Roger Moore in ‘The Spy Who Loved Me” in 1977 when he dove below the waves in a sleek vehicle that moments before seemed to be an ordinary car. The only problem: The scene never really took place; it was an animation. 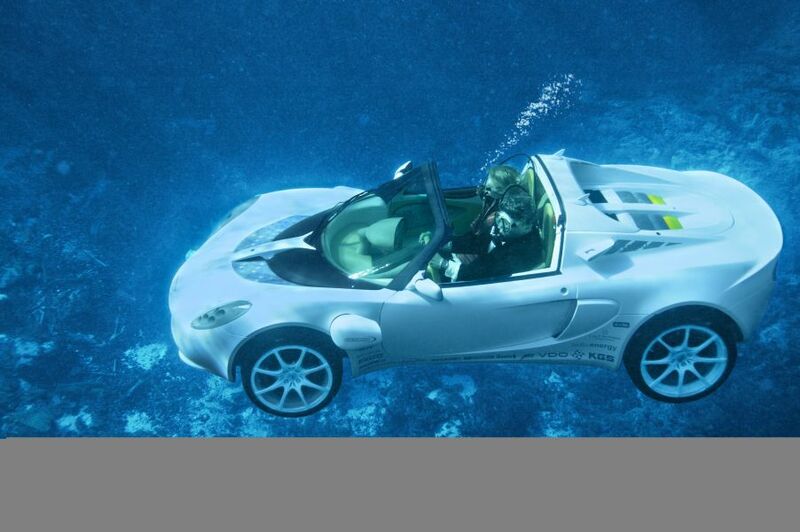 It also had to be a sports car that was converted into a diving dream in the facilities of Swiss engineering specialist Esoro. 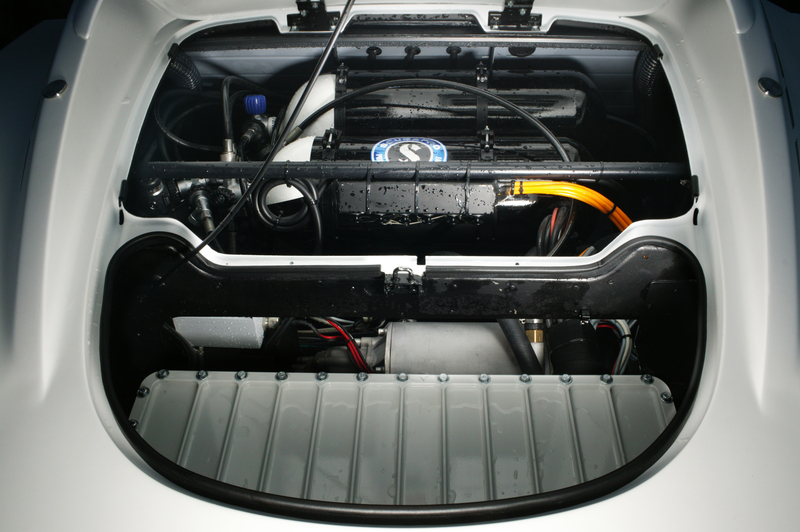 In a first step the combustion engine was removed and replaced by several electric motors. 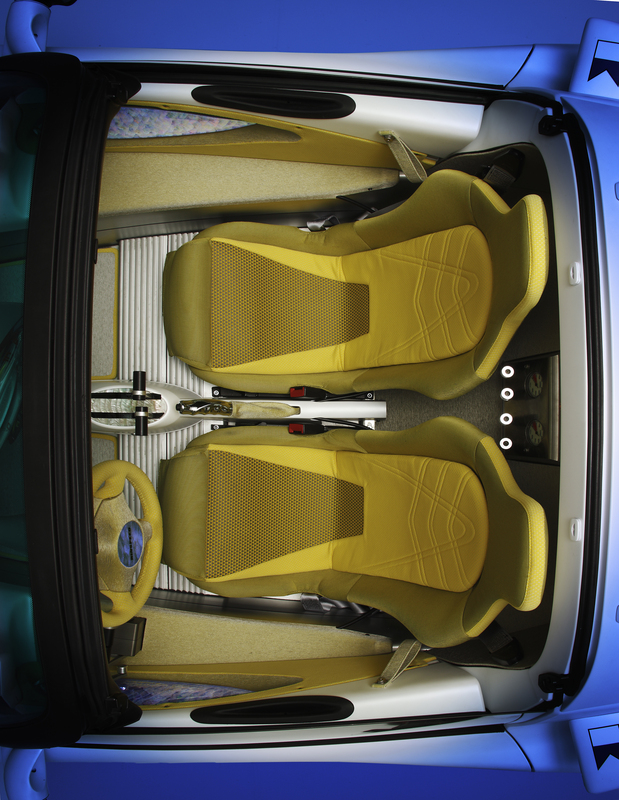 Three motors are located in the rear. 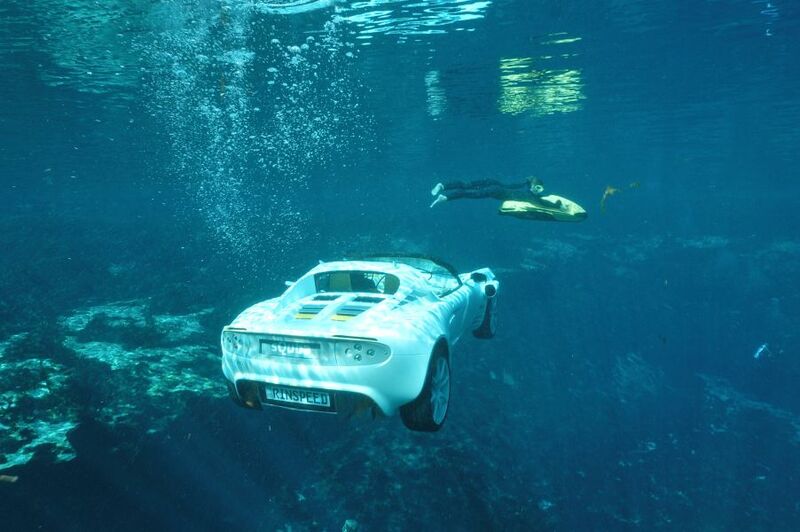 One provides propulsion on land, the other two drive the screws for underwater motoring. 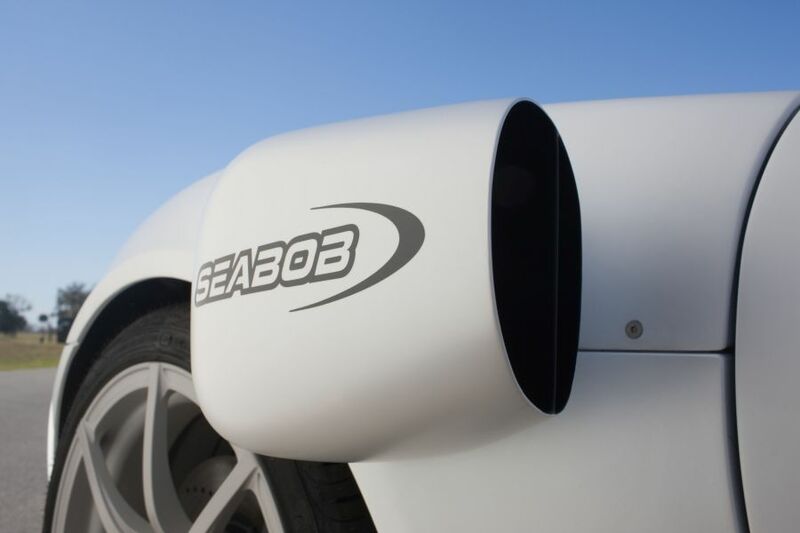 They are supported by two powerful Seabob jet drives in the front, which ‘breathe’ through special rotating louvers from HS Genion (for opening and closing the water intake). The rotating outlet jets were designed to be extremely light yet twist resistant by using high-tech nano materials, so-called Carbon Nano Tubes. It is a sure bet that the “sQuba” will steal the show from any ‘Baywatch’ beauty on the beach. 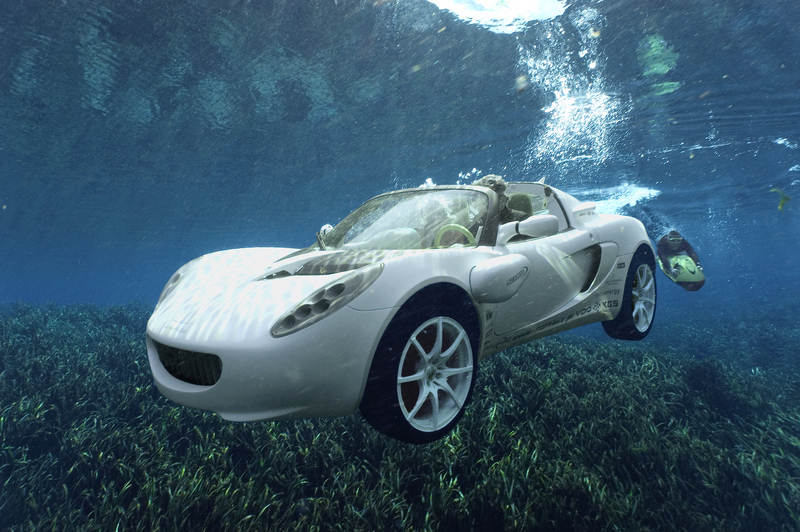 And easily, too: You drive the car into the water and the car floats. That is, until you crack the door to let the water in. Immediately the “sQuba” starts on his way to the underwater world. 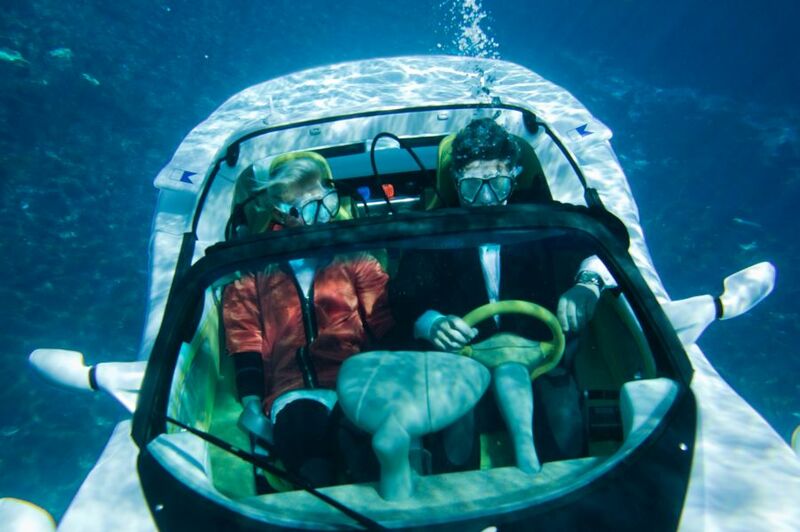 The occupants’ breathing air comes from an integrated tank of compressed air that divers know from scuba diving. Rinderknecht: “For safety reasons we have built the vehicle as an open car so that the occupants can get out quickly in an emergency. With an enclosed cabin opening the door might be impossible.” But safety wasn’t the only reason for choosing an open-top design: With an enclosed volume of just two cubic meters of air the vehicle weight would have to increase by two tons (!) 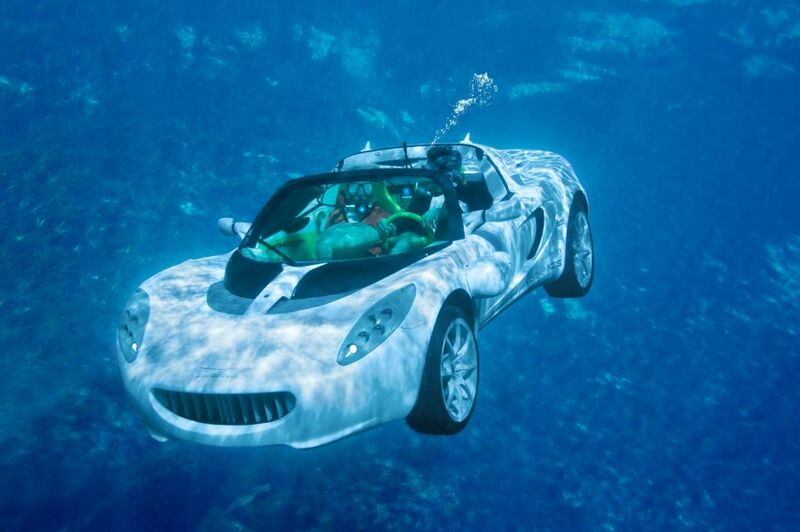 to counteract the unwanted buoyancy, giving the “sQuba” the land mobility of a turtle. 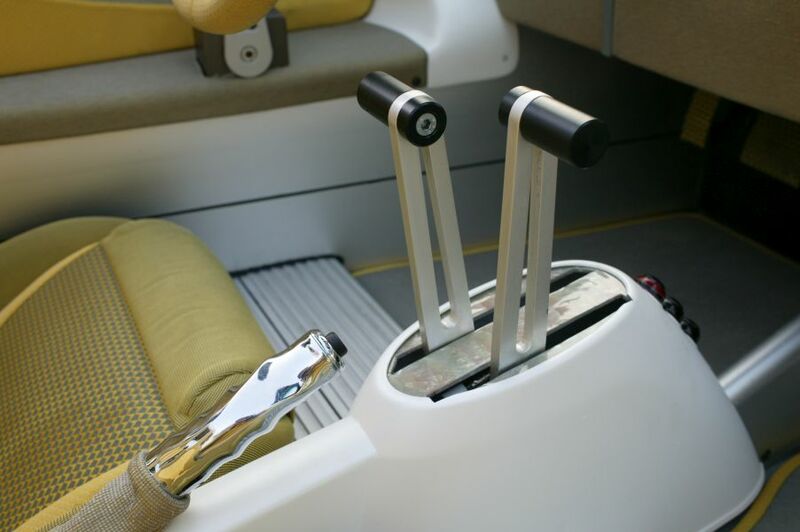 Without occupants the “sQuba” surfaces automatically. 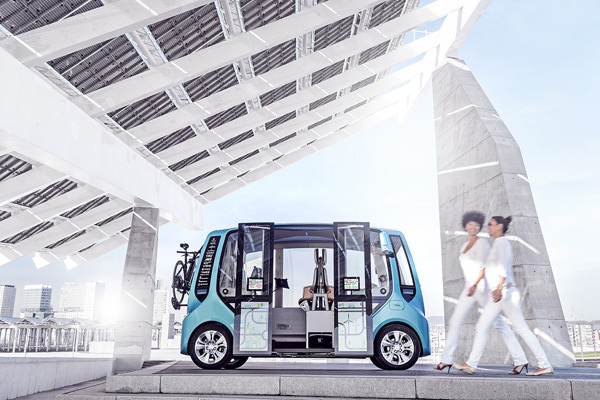 It is even capable of autonomous driving on land thanks to a sophisticated laser sensor system from the Hamburg company Ibeo - without any help from the driver or passenger. Power is supplied by rechargeable Lithium-Ion batteries. 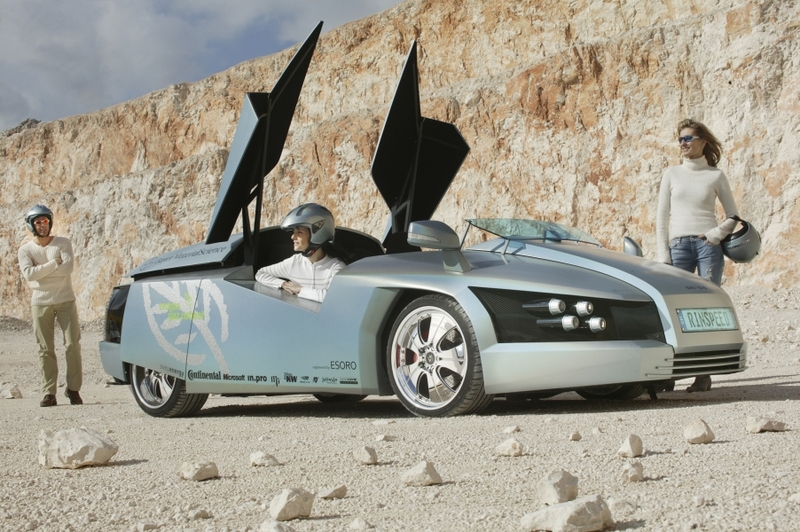 Rinderknecht: “The ‘sQuba’ is a zero-emission car as documented by the rotating license plate in the rear. 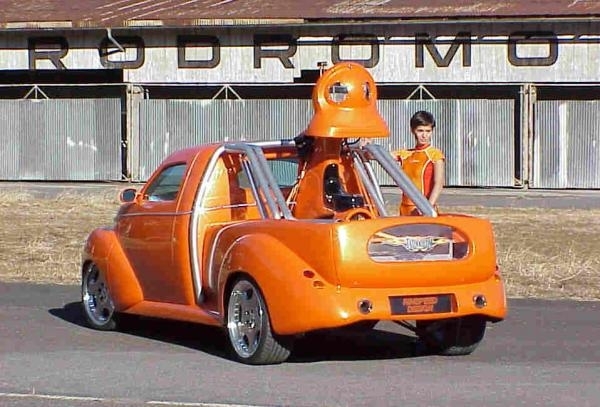 It produces no exhaust emissions. The Swiss are among the world’s pioneers in the area of hydropower. 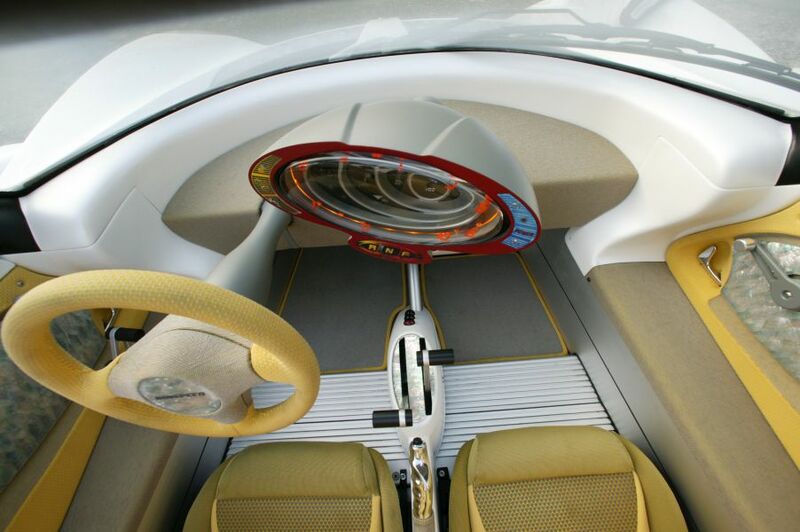 The ‘sQuba’s’ filling station is the water reservoir.” It is no surprise that the vehicle features powerful yet energy-saving LED lighting technology. 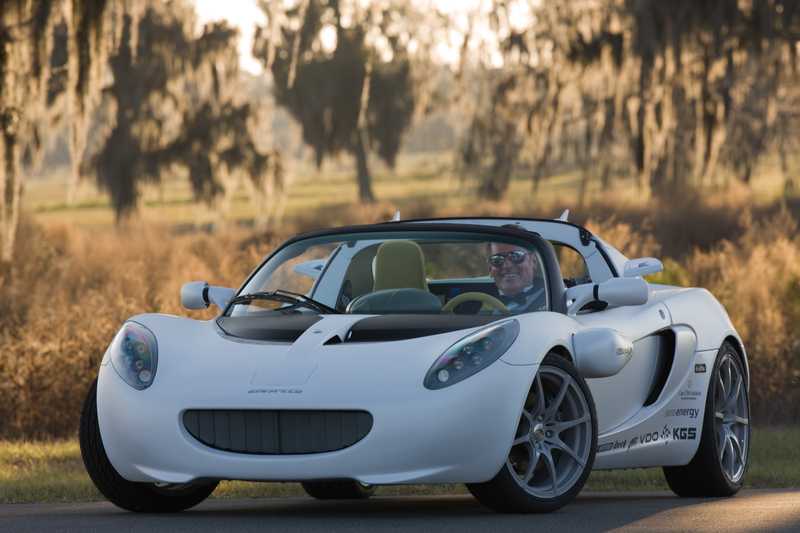 For shore leave the “sQuba” relies on a stainless coil-over suspension from KW automotive and large Pirelli tires mounted on custom-made forged light-weight wheels from AEZ with 17- and 18-inch diameters. 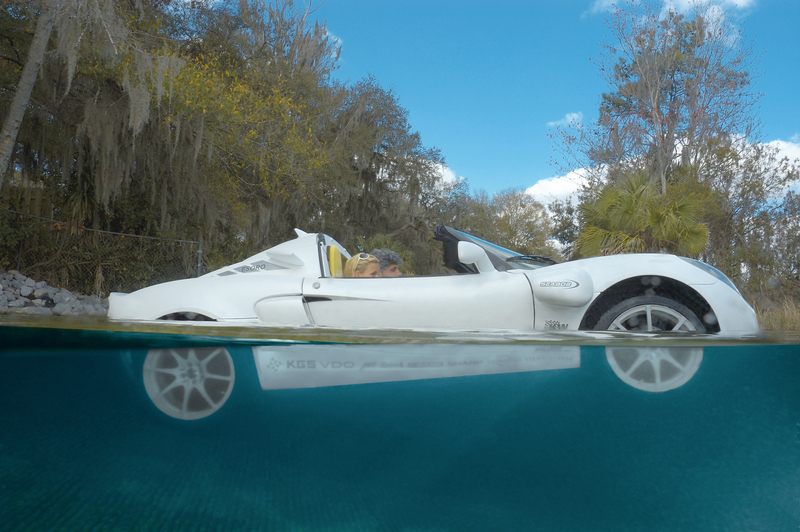 But the “sQuba” is really at home in the water. 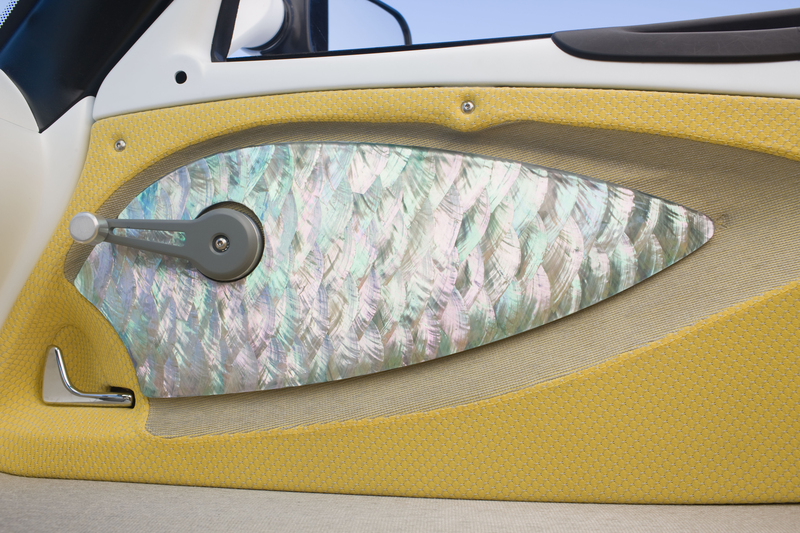 To make the occupants feel at home there as well the innovative salt-water resistant interior from Strähle + Hess features genuine mother-of-pearl trim and diamond-plated non-slip inlays from KGS Diamond, normally used in high-tech abrasives. After all, ‘diamonds are a girl’s best friends.’ The high-tech VDO instrument cluster and controls create a futuristic ambiance and allow controlling all vehicle functions even while submerged. 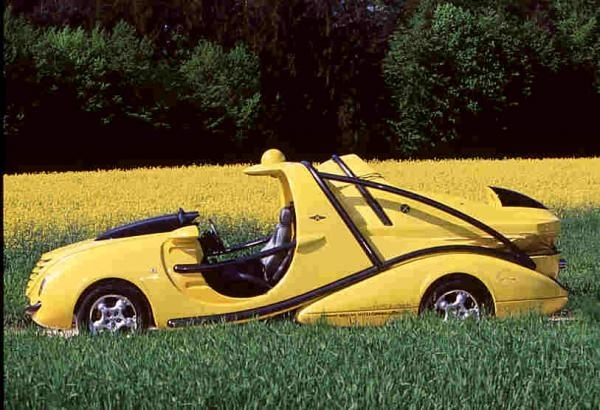 Frank M. Rinderknecht and his partners - amongst them also the fleet specialist LeasePlan - have created a truly unusual vehicle and in the process have thought of everything. Even the Motorex lubricants used in the ‘sQuba” are biodegradable. For the Rinspeed boss that is a meticulousness stemming from conviction: “The ‘sQuba’ lets me be one with the elements and lets me immerse myself in a new and fascinating world - with Q factor. It is our duty to protect this world in which we are guests to the best of our ability.” Isn’t it, Miss Moneypenny? 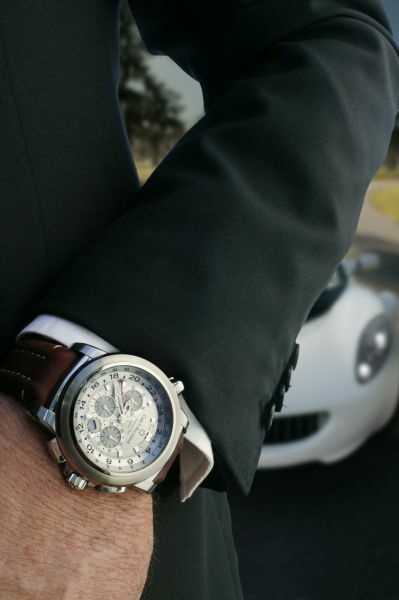 - James couldn’t have said it better himself glancing at the sporty Swiss precision chronograph from C.F. Bucherer. Eau la la - shaken, not stirred. 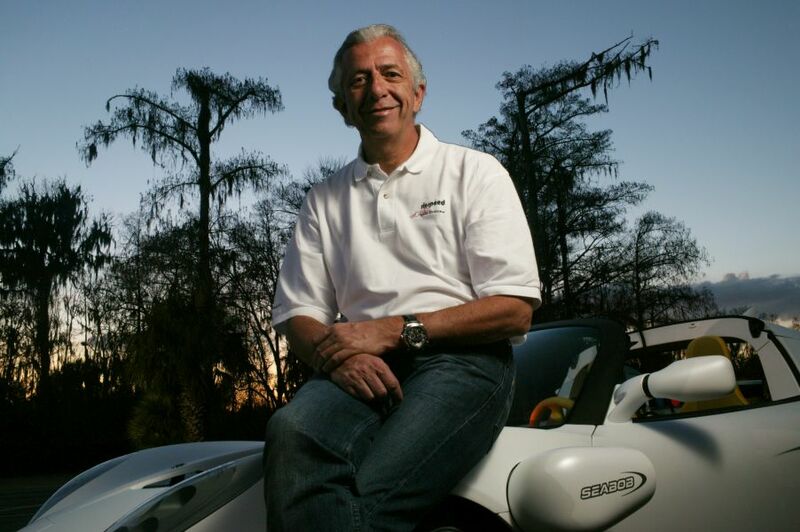 Frank M. Rinderknecht used highly advanced technology and a Swiss-based network of top automotive specialists for his project. So the Rinspeed “sQuba” fits perfectly to Esoro's motto: engineered by Esoro - What you dream is what you get. For the ninth time the Swiss engineering company Esoro was hired to serve as general contractor for the entire project. Esoro was responsible for project management, implementation of new technologies, engineering, rendering, design and the manufacturing of the Rinspeed “sQuba”. 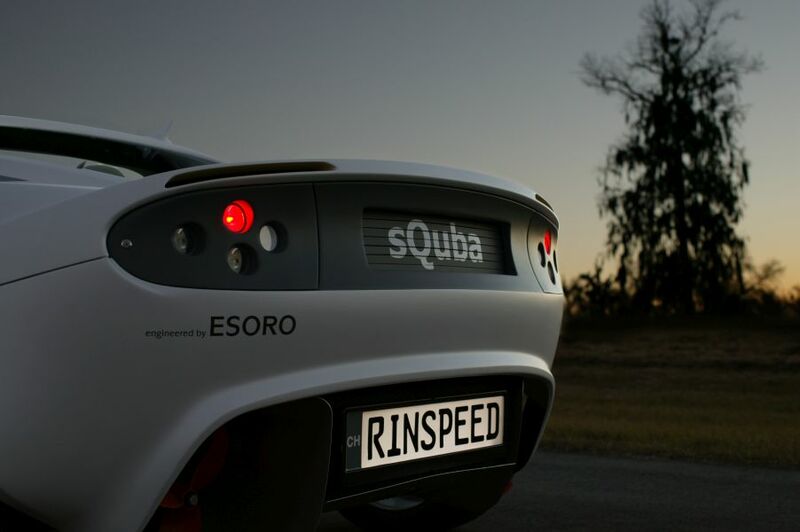 Esoro realized the Rinspeed “sQuba” with the help of its highly competent suppliers. Starting with initial concepts, it took the highly skilled development team just six months to realize the entire project. For 17 years now, Esoro has been a contract developer of concept vehicles, components and products, main focus is lightweight construction and mobility. During this time it has gained a well-deserved reputation for excellent efficiency and innovative solutions, which is demonstrated by numerous prototypes and serial products. 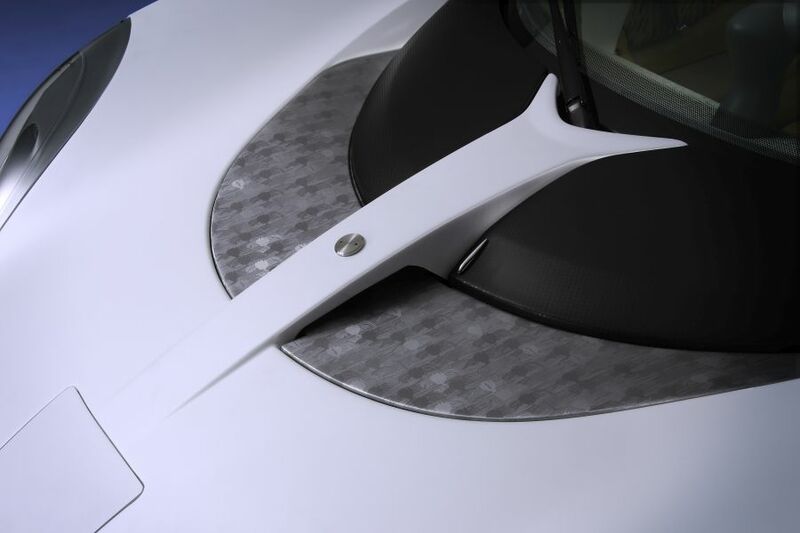 Esoro develops fiber reinforced components from initial conception up to pre-production samples. In-house specialists optimize the component properties and characteristics throughout the entire development process. Important steps are non-linear, strong orthotropic Finite Element Analysis and crash simulation. Another recent development from Esoro is the new E-LFT production technology developed for Weber Fibertech. 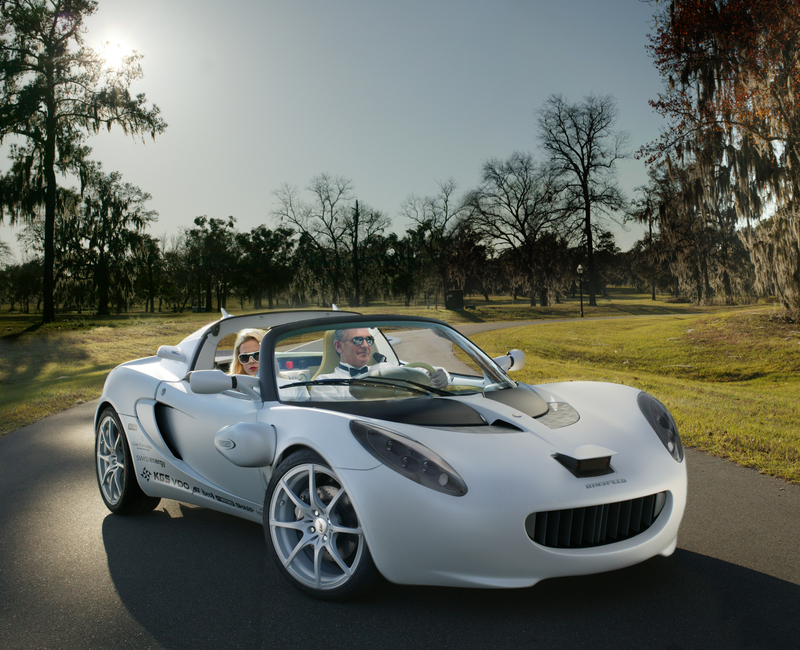 E-LFT makes large scale production of high-strength and lightweight composite parts affordable. E-LFT composite parts weigh more than 30 percent less than comparable steel parts. 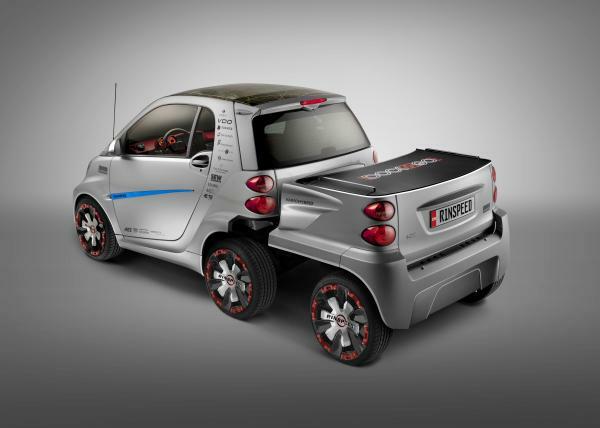 The tailgate of the new Smart Fortwo - the first serial produced E-LFT-component - was produced over 100’000 times in 2007 and received the JEC Innovation Award 2008. Furthermore another production process for niche markets, like high performance cars, trucks and caravans is now introduced by Esoro to several OEM’s. The new and patented process called Melt Embossing offers the possibility to produce high end thermoplastic composite parts with low initial invest for structural and semi-structural applications. 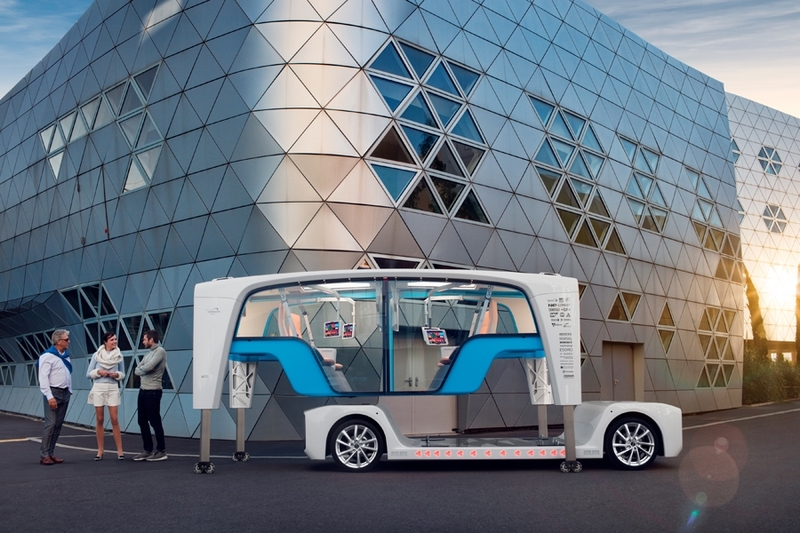 Since the company was founded, Esoro has been working intensively in the field of conception, implementation and tests of alternative and optimized vehicle concepts and drive systems. 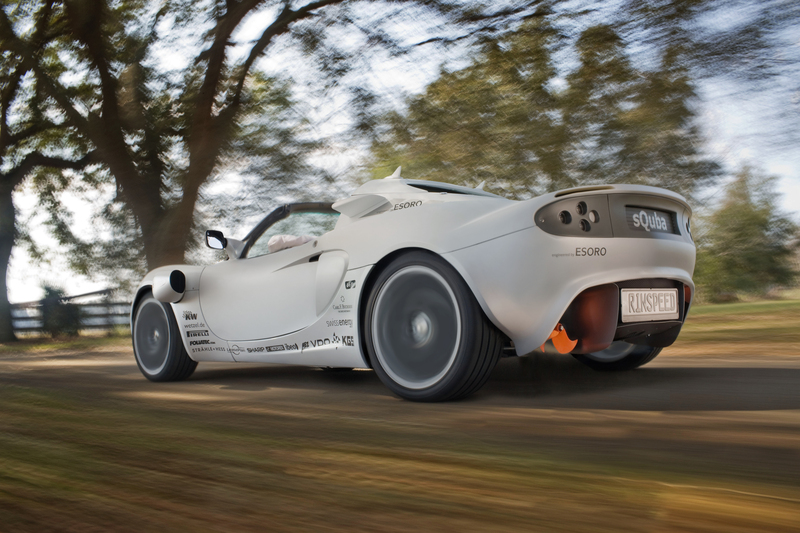 Esoro is thus one of the few companies in the world with well-founded experience in development and operation of electric, hybrid and fuel cell drives. 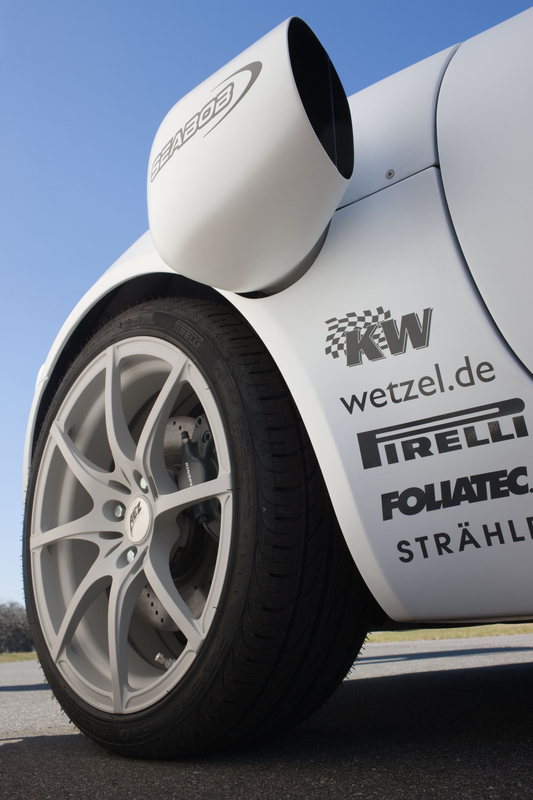 German alloy wheel manufacturer AEZ, including it’s brands Dotz, Dezent and Enzo leader in the European alloy wheel after market since many years, develops a really special wheel for the Rinspeed sQuba. 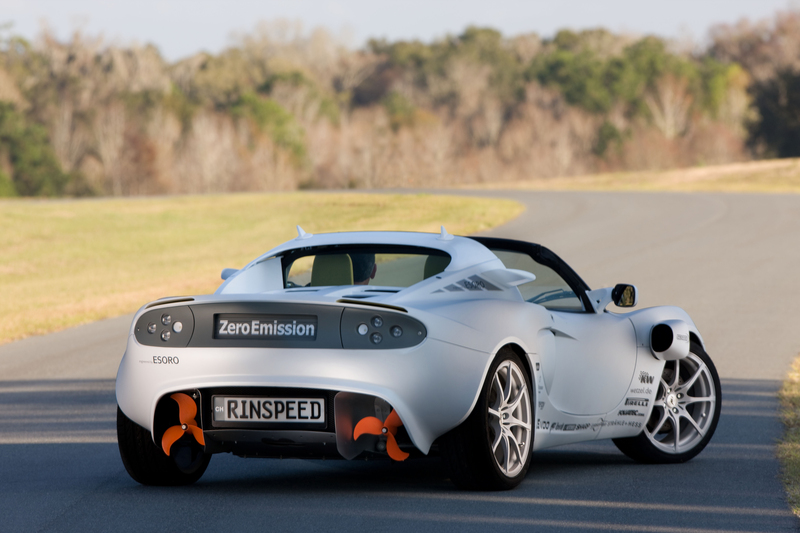 Like 2007 for the Rinspeed eXasis, where AEZ was developing and manufacturing the wheels as well, the wheels are forged and have a unique design specially suited to the appearance of the vehicle. Key focus was again the reduction of the weight, an important issue for AEZ also when it comes to the development of road wheels which can be accomplished thanks to extensive electronic simulations and a perfect production process. With the sQuba wheels a further challenge was the resistance against salt water from the sea - thanks to AEZ’ painting technology and the experience with winter wheels no problem at all. 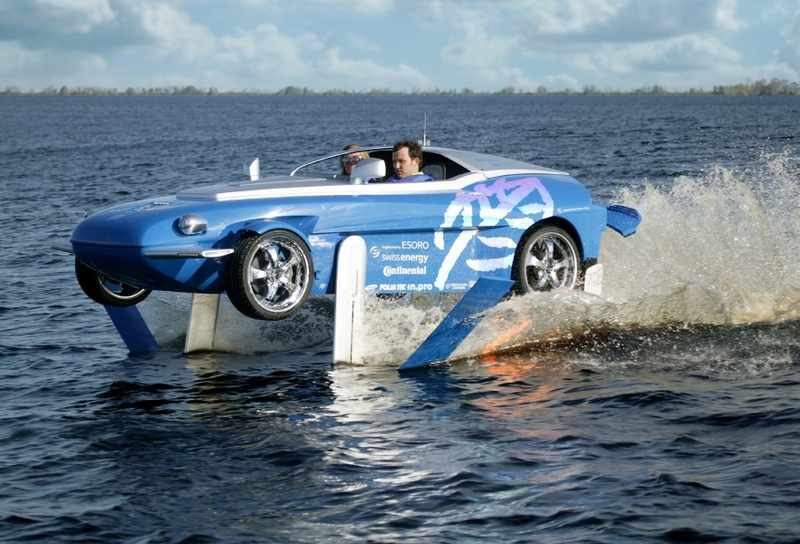 Cars that drive over water. Cars that drive under water. 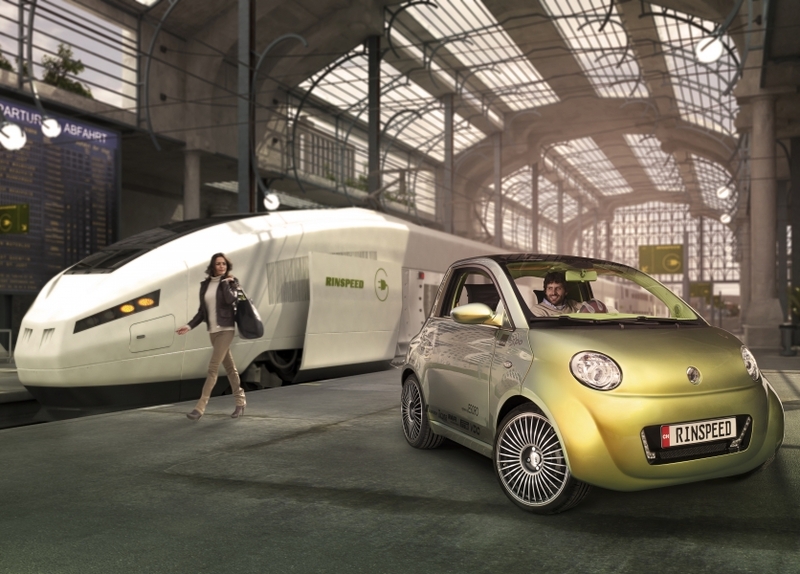 Cars with transparent bodywork. 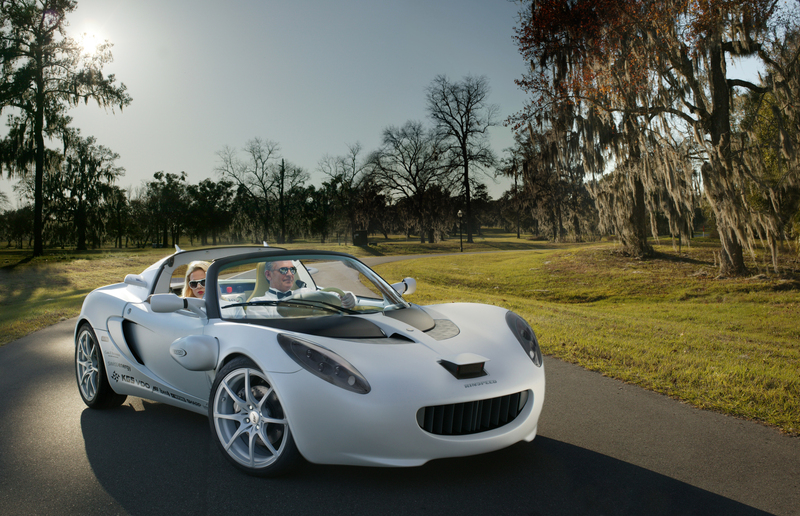 The Concept Cars, which Frank M. Rinderknecht is developing, give a new meaning to mobility. They are the work of a person, who follows his own path without deviation, just as Carl F. Bucherer, the founder of the Luzern-based watch brand, once did. 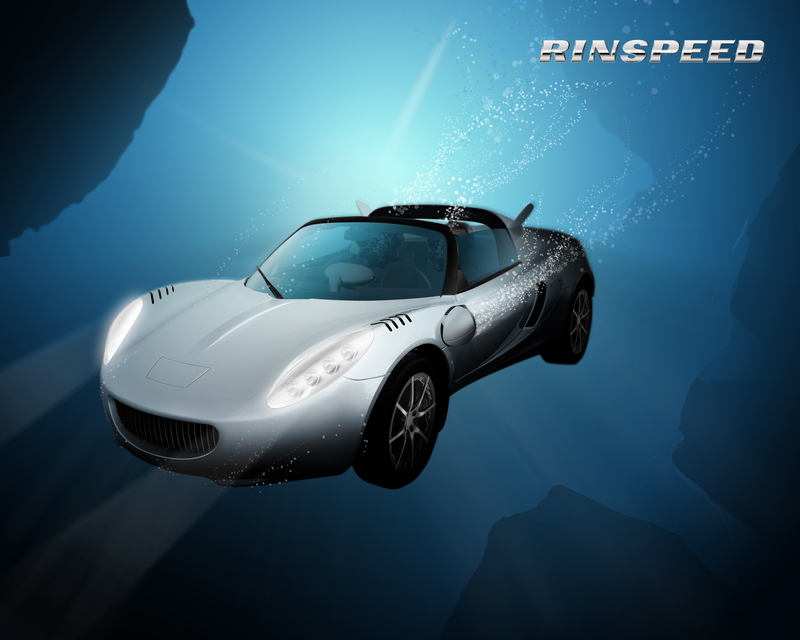 This was also one of the reasons prompting CEO Thomas Morf and vice-president Marketing Bruno Jufer to get involved as a partner of the Rinspeed sQuba. Even more important, however, was their common philosophy, aiming to develop the sophisticated technology, top quality materials and surprising shapes through their innovative, conceptionally convincing, combined work. Like the Patravi TravelTec FourX does, for example, with its four different materials and three different time zones. This is what the Rinspeed cars are doing all the time. In summary: the new partnership project brings together two companies, which obviously think the same way and are constantly searching for innovations. “You may say I’m a dreamer, but I’m not the only one, I hope someday you’ll join us“, Rinspeed Chief Executive, Frank M. Rinderknecht, quotes John Lennon on his Internet site. Visions that became reality also play a fundamental role in the history of the establishment of Foliatec.com, and they still do. 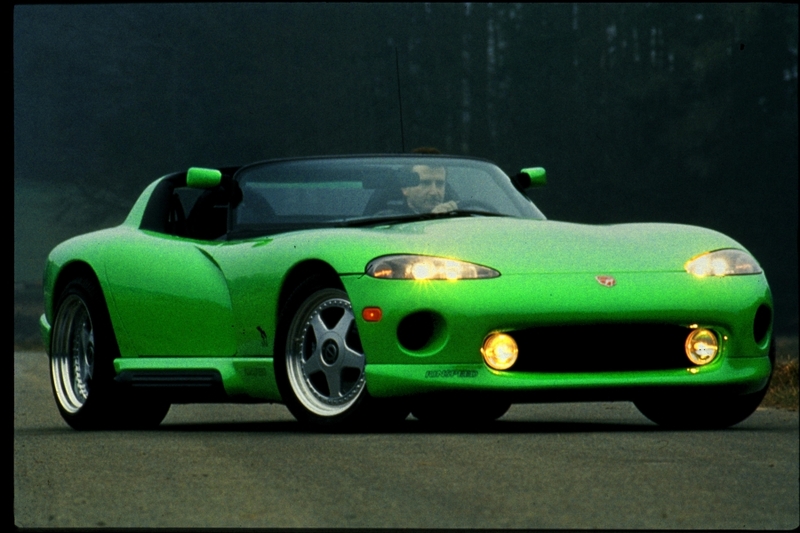 At that time, in the early 1980s, company founder, Michael Böhm, was the first to bring car films to Germany. 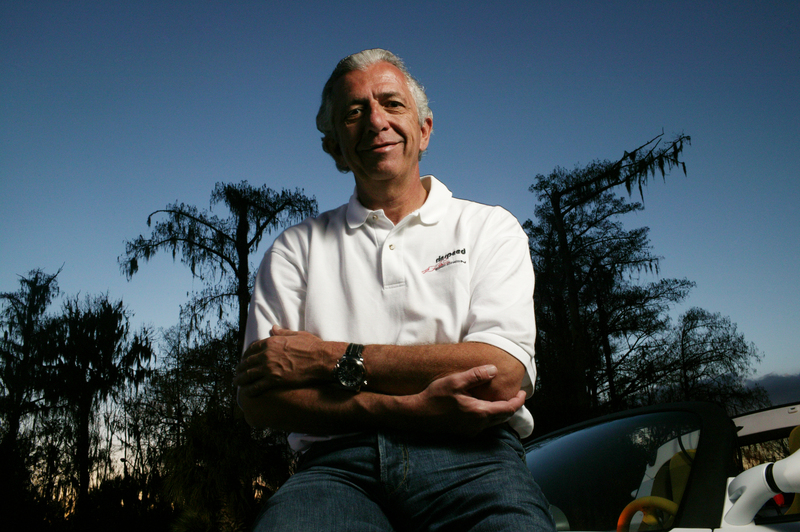 With products that are always new and creative, his company quickly established itself as a trendsetter. We share this innovative drive, which has continued to be maintained to this day, with Rinspeed. Already in the past, several exciting cooperation vehicles have emerged from this relationship. That is why our company is also only too happy to be in the same (u-)boat with the “sQuba”. 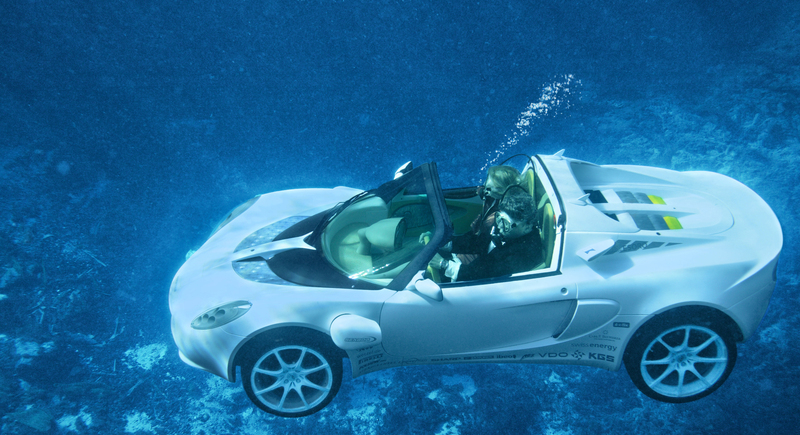 Also, because, as a functioning diving car, it not only convinces with design and style, but also objectifies the “form follows function” philosophy, like all project vehicles of the Swiss vehicle engineer. A motto that is also a common theme in our entire product portfolio. 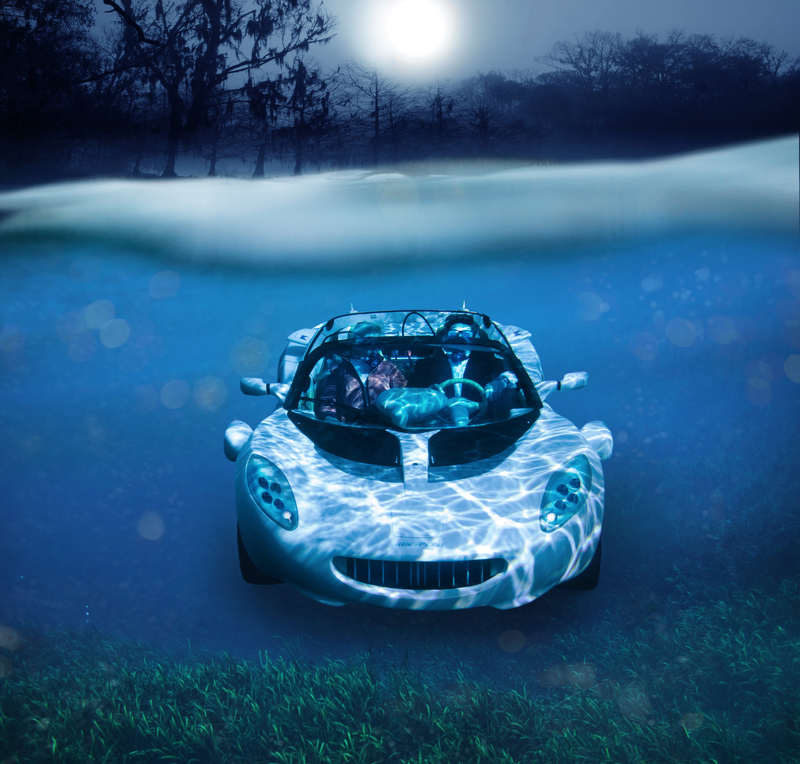 In just the same way, Foliatec.com supports the ecological statement of the project: After all, with its electric power system, the vehicle drives and dives completely emission-free. Of course, after concluding the development work, we are also anxious to find out which other innovative ideas Rinspeed, its partners and we will come up with in future and are already looking forward to the next cooperation. 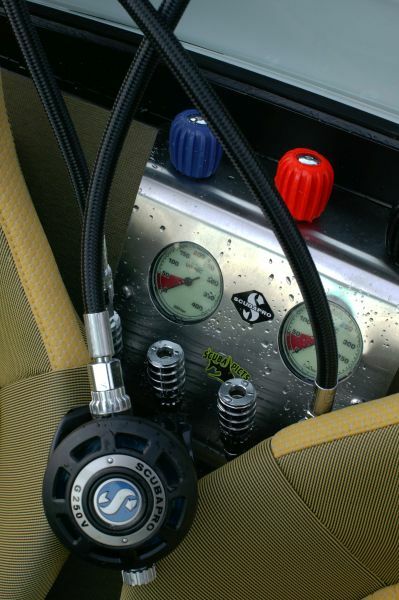 manufactured by the world renowned Hornschuch brand d-c-fix have been specially designed for this purpose. 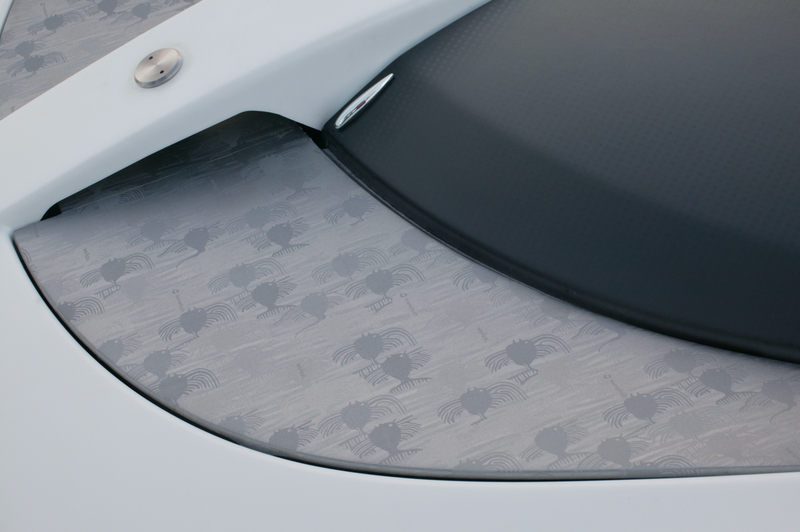 Three different versions are available, and each is as eyecatching as the next due to their exclusive character: with the first film a shark skin emphasises the streamlined character of the underwater vehicle; the second emulates fine metal perforations and emphasises the high-tech appearance of the lightweight construction; fishes are embossed on the third film thus conveying the USP of this innovative vehicle with an ironic humourous touch. The imprints were produced in an extremely short space of time in close collaboration with the embossing rollers specialist Wetzel. 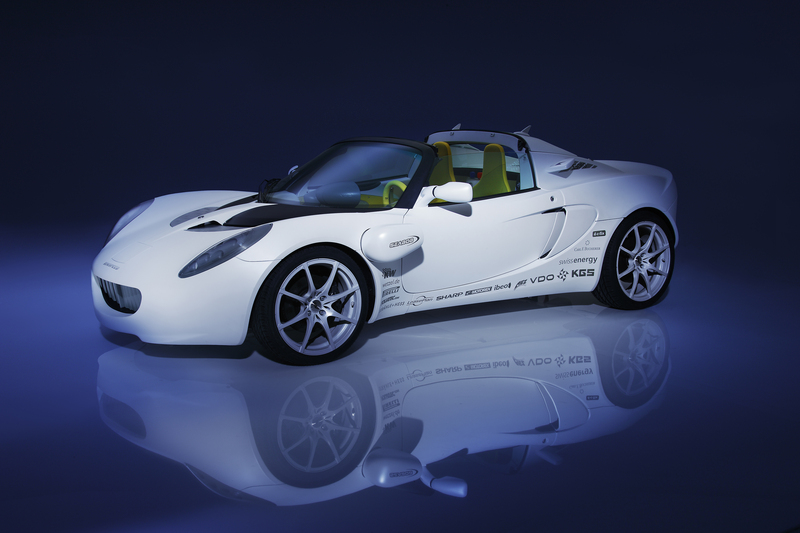 The sQuba can be seen in its design garb at the Geneva Motor Show from 6 to 16 March 2008 (Stand 6254). 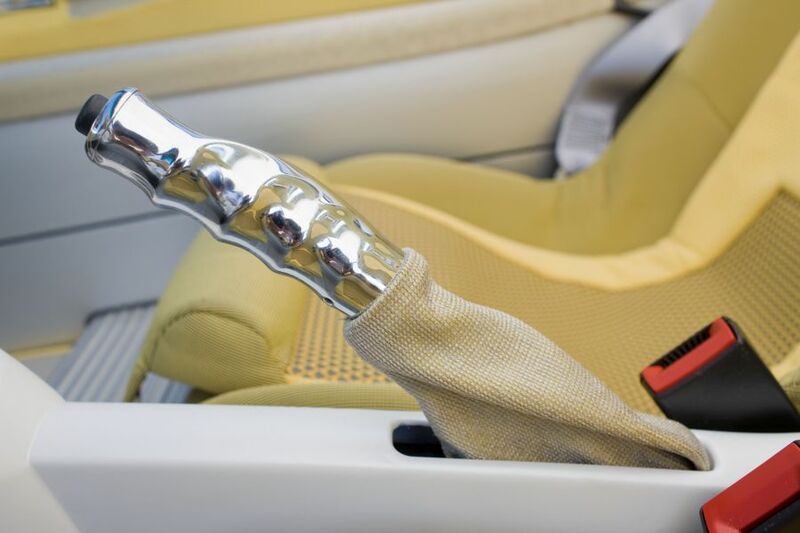 Special products for the automotive industry are child's play for Hornschuch: nearly all leading German automobile manufacturers use Skai synthetic leather in their interiors. In terms of its visual appearance and haptics the material is indistinguishable from any natural product and is virtually unbeatable in terms of maintenance and care. The extremely precise embossing and faithfully reproduced details of the grain patterns are a result of the vacuum embossing technique exclusively used and also continuously developed by the surface specialist Hornschuch. This specialist knowledge also regularly benefits the end user brand d-c-fix. 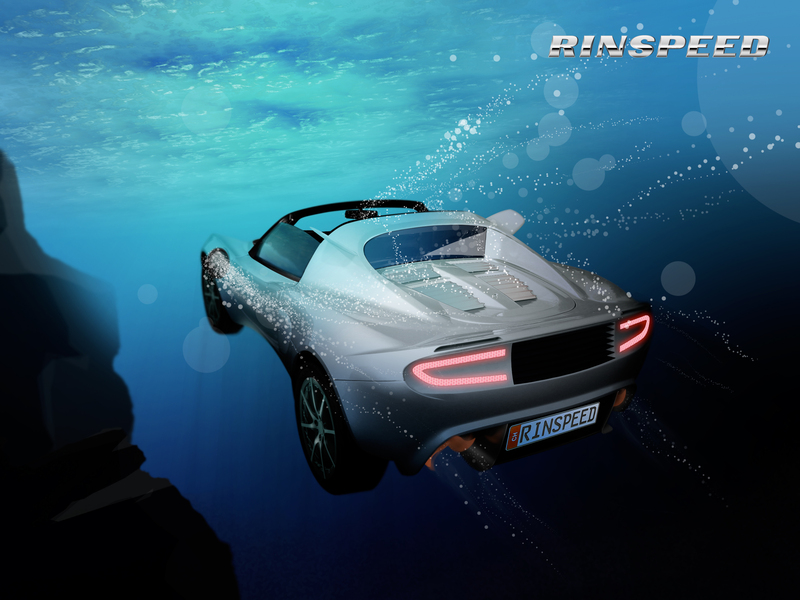 The HS Genion Team is very proud to apply its expertise to the newest Rinspeed Concept Car “sQuba” and once more, do justice to its philosophy “Turning Ideas into Reality”. As a strategic partner HS Genion GmbH operates as a system supplier for movable modules and components - primarily in the automotive sector. 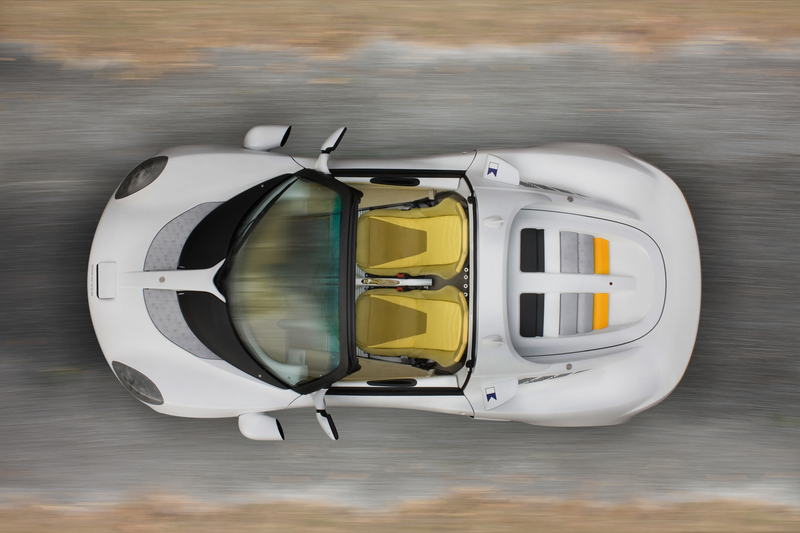 Its key competences are in the areas of: Aerodynamics, Comfort, Convertible Components, Cargo Management and Lifestyle. HS Genion, as a Full Service Supplier offers its international customers innovative complete solutions in all process phases from the idea through concept into the production of technically demanding products. The visionary products of F.M. Rinderknecht require the rethinking of existing technologies to enable their application in different situations. 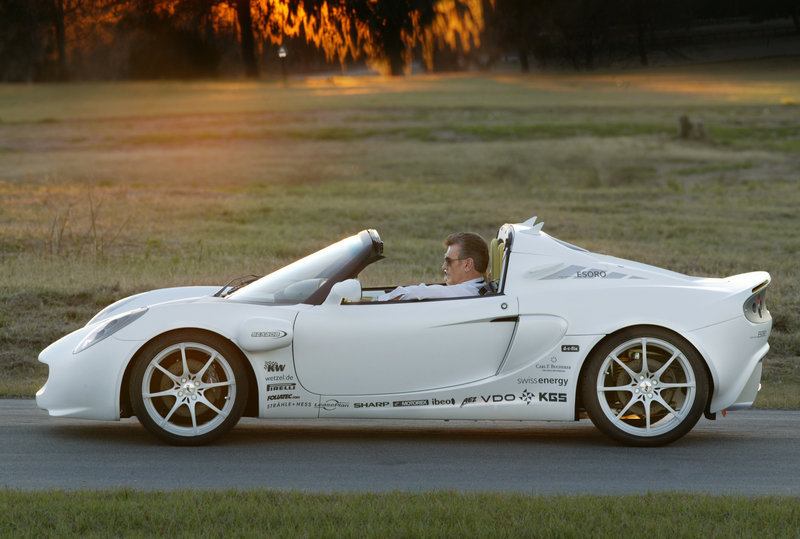 For us at HS Genion GmbH innovation and team spirit are the driving forces behind our daily business and we were very pleased to take on the challenge of adapting innovative products from our Aerodynamics- and Cargo Management-Portfolio to the desired standards of the Concept Car “sQuba” - to help turn the ideas into reality. 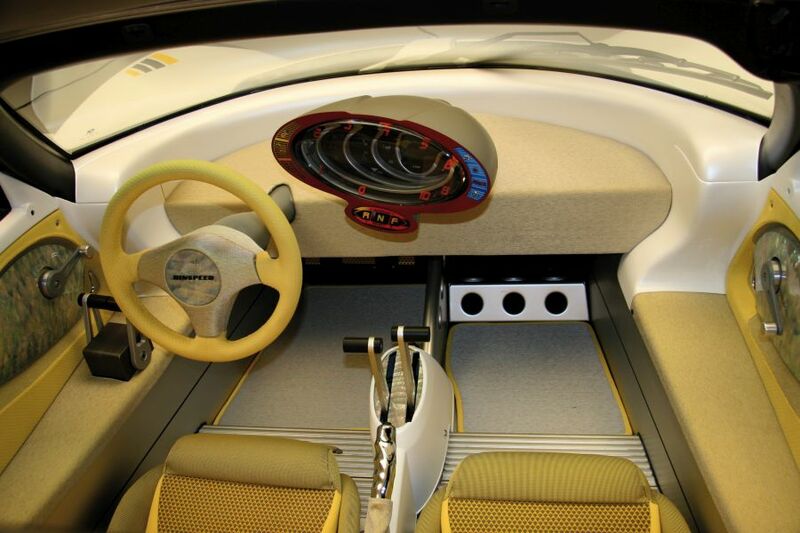 The mechanism for a new Cooling Air Management System, a patented hatch-system, was integrated not only in the front end but also in the rear area of the concept car ”sQuba”. 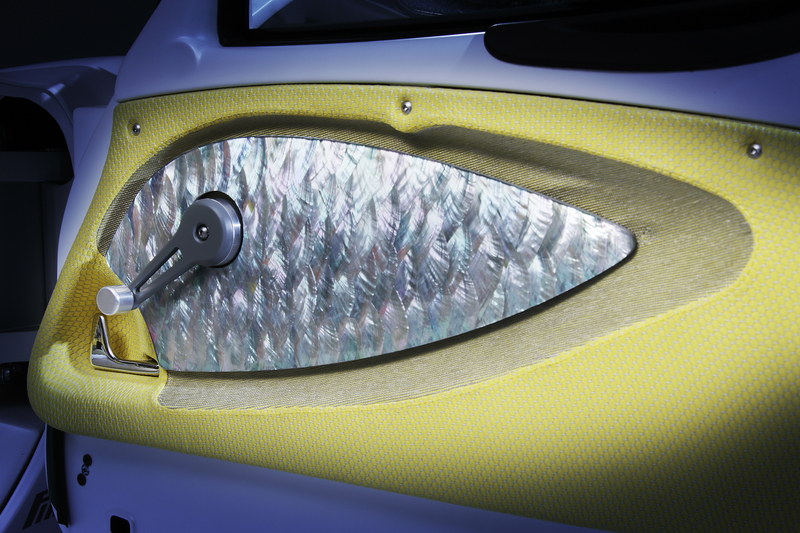 In the front end radiator-aperture carbon fiber fins are moved into two different positions by a mechanism to open or close the aperture for the air and water entry. In the number-plate area at the rear of the vehicle a changeable number plate is realized by horizontal, pivoting fins. To keep the design shape of the vehicle, these fins are moved in three-dimensions by a kinematic mechanism. In the Cargo Management sector, HS Genion offers intelligent load space solutions to increase comfort and security. 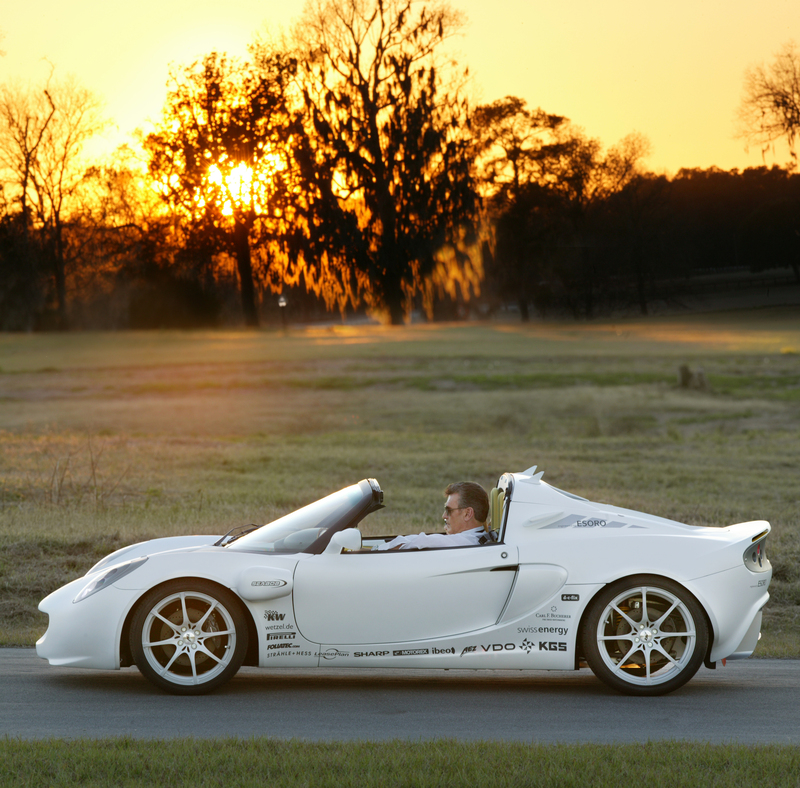 In the “sQuba” functionality and forward thinking were united in the rear light area. Storage boxes with integrated rear lights are attached to the number plate box with hinges and offer space for small items. Through perfect teamwork, the visions and innovations were combined with technology and Know how - and these Visions were transformed in to real products that trigger emotions today and in the future. 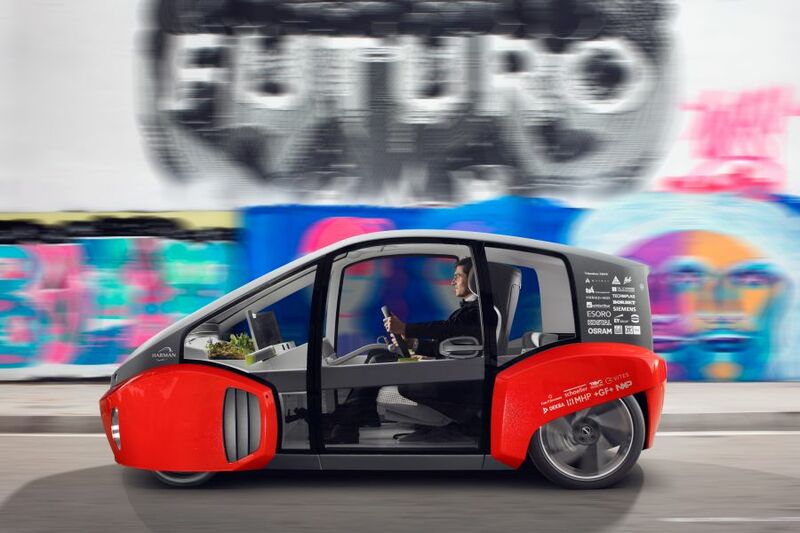 Driving entirely autonomously without a driver at the touch of a button - this feat is achieved by this year’s Concept Car from the Swiss company for new designs and ideas Rinspeed. “sQuba” - a car which Rinspeed boss Frank Rinderknecht claims was inspired by James Bond films - is to be presented for the first time from 6 to 16 March at the Geneva Motor Show. 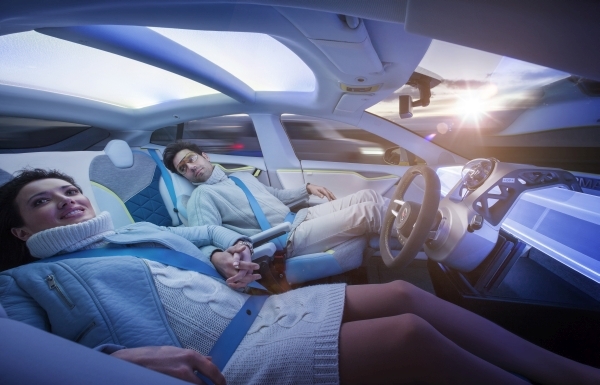 The Concept Car no longer needs a driver – made possible by laser technology from the Hamburg-based company, Ibeo. 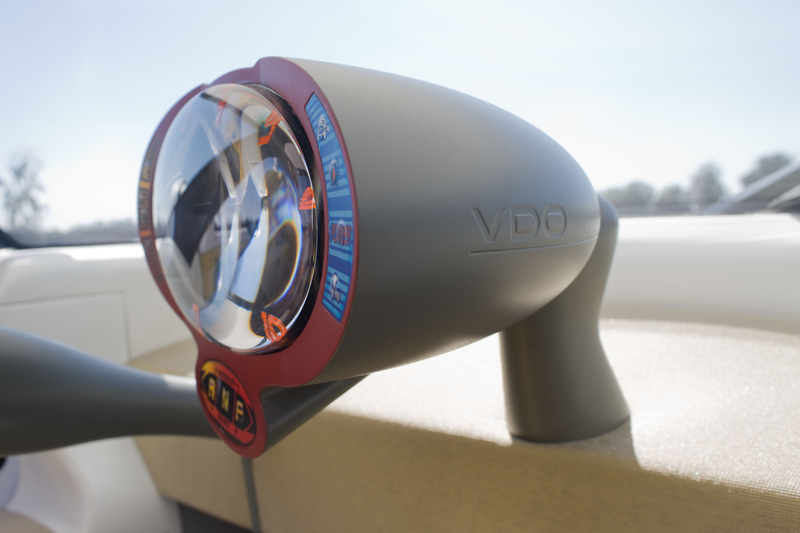 Ibeo LUX laser scanners represent the vehicle’s intelligent eyes and safely steer the vehicle through road traffic. 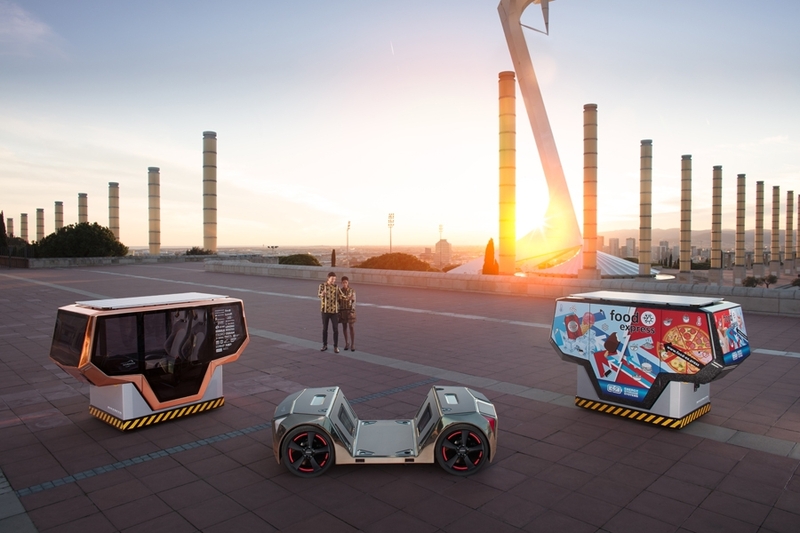 The fact that autonomous driving with the appropriately strong laser sensors no longer represents a pipe dream was displayed at the Darpa Urban Challenge. 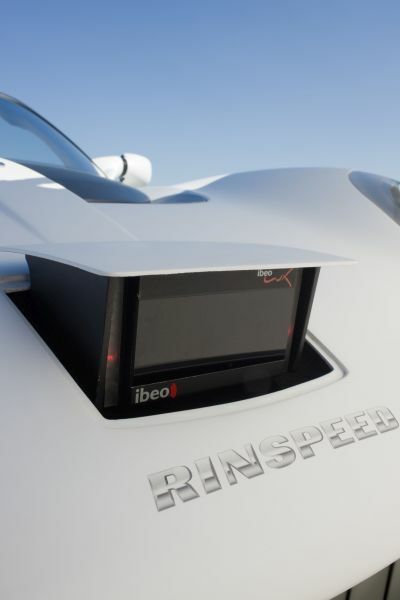 In this unique race among driverless cars, the majority of all participating vehicles featured Ibeo laser scanners. And each of the three Challenge winners deployed Ibeo laser scanners in their vehicles. Ibeo managing Director Dr. Ulrich Lages is delighted that Ibeo laser technology is used for the “sQuba”. 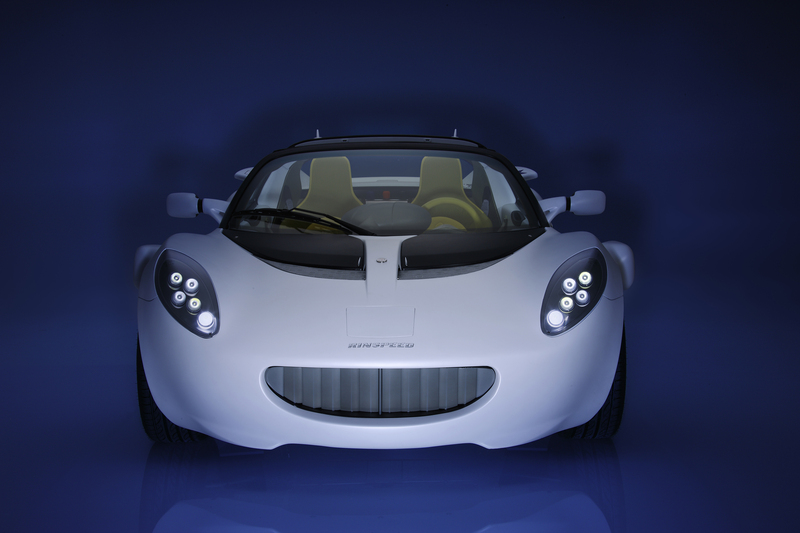 “The Rinspeed Concept Car is an impressive example of what’s possible today in the area of active driver support using our laser scanners”. Ibeo’s primary objective is to make road traffic safer for all participants, adds Lages. 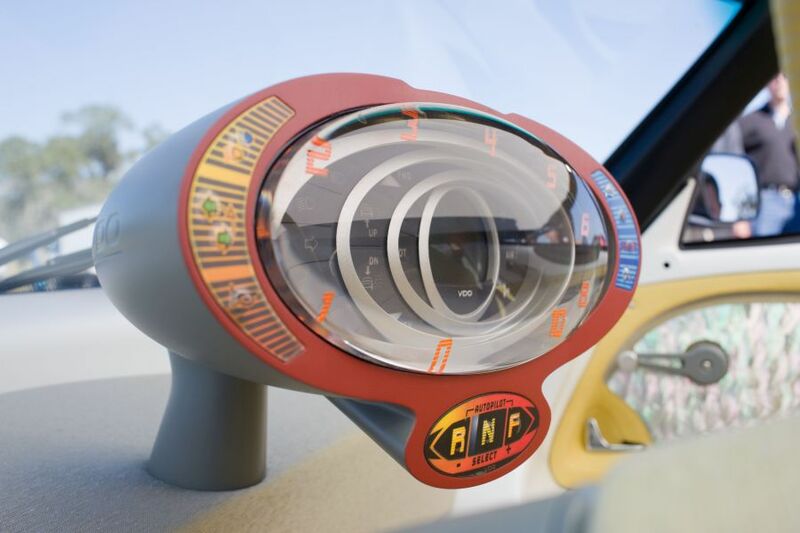 “Our laser sensors permit a variety of driver assistance functions using one single small device, e.g. 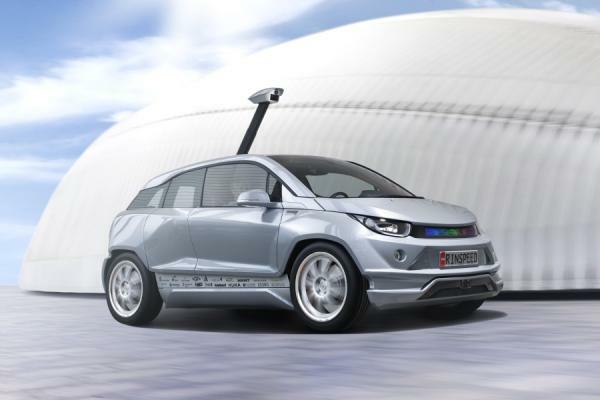 automatic emergency braking, pedestrian protection, collision protection, traffic jam assistant and others.” Ibeo will start series production of the powerful ibeo LUX sensor in autumn 2008. The world's leading manufacturer and distributor of flexible diamond and CBN abrasives. Founded in Switzerland in 1952, KGS has several [isn't "several" too modest, shouldn't you just say " has offices and factories.."] offices and factories around the world, including Switzerland, Holland, France, Germany, the UK, Hungary, Spain, Australia and China. 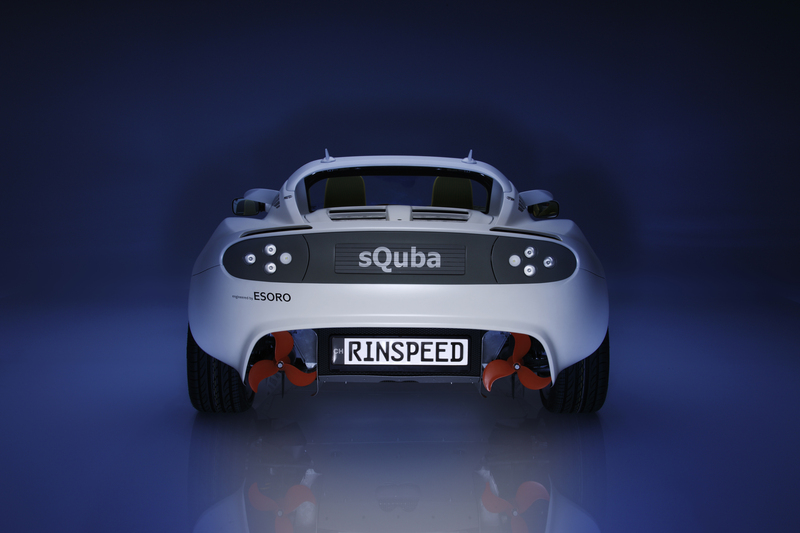 Sandro Ferronato, owner of the company, explains why KGS was keen to participate in the sQuba project from Rinspeed; “Innovation and extending boundaries have always been a mainstay of KGS’s business philosophy. It has brought smart solutions to industries as diverse as stone, glass, aerospace, automotive, gas turbines, high performance materials etc.. KGS has introduced applications using flexible diamond abrasives that nobody could anticipate, and our customers were able to distinguish themselves in terms of both efficiency and quality”. “Participating in this innovative project is for KGS actually an obvious decision; exploring new frontiers is a specialty of both Rinspeed and KGS as well. The sQuba is the excellent example of this, it reflects our commitment and our ambition”. KGS supplies different kinds of diamond abrasives which will be used during the production of the sQuba. 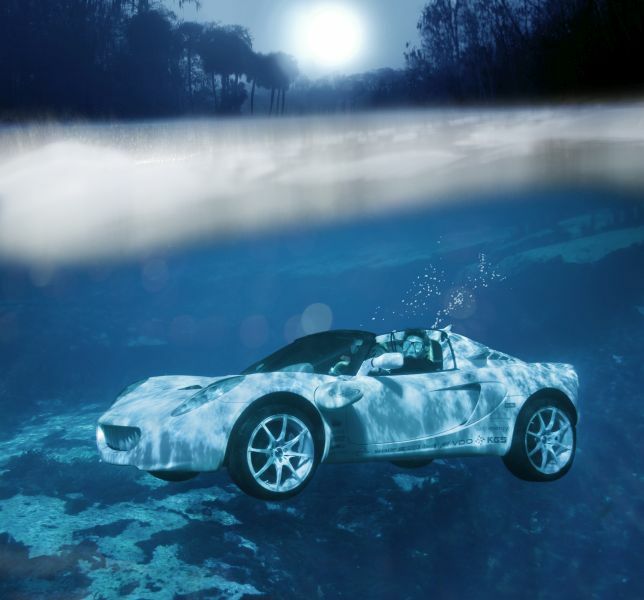 Thanks to the optimum friction characteristics of diamond abrasives, they even will be applied as seat cover, to create maximum friction between driver and seat whilst traveling through the water. 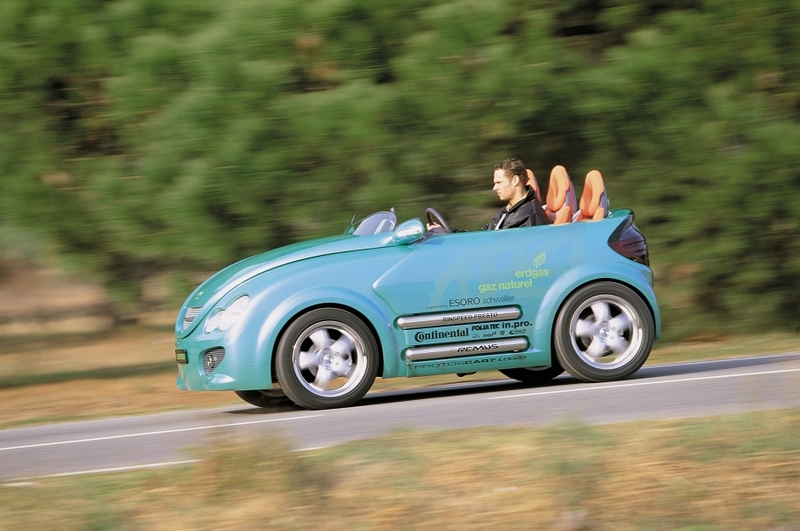 Visionary thought and action is what links company founders Frank M. Rinderknecht of Rinspeed and Klaus Wohlfarth of KW automotive GmbH in Fichtenberg (Baden Württemberg). The result for their customers is innovative designs and engineering innovation at the highest level. 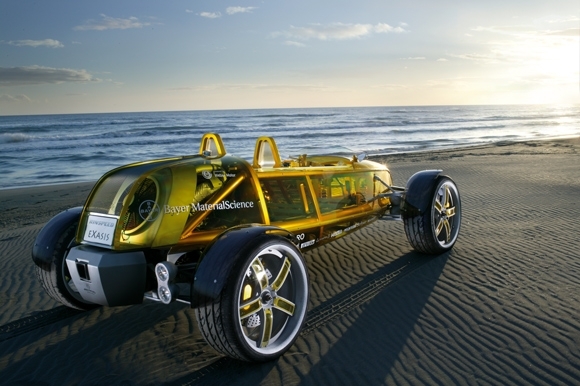 For that reason it was a matter of course for KW automotive GmbH once again to equip the latest Rinspeed concept car, the "sQuba", with its innovative suspension technology. 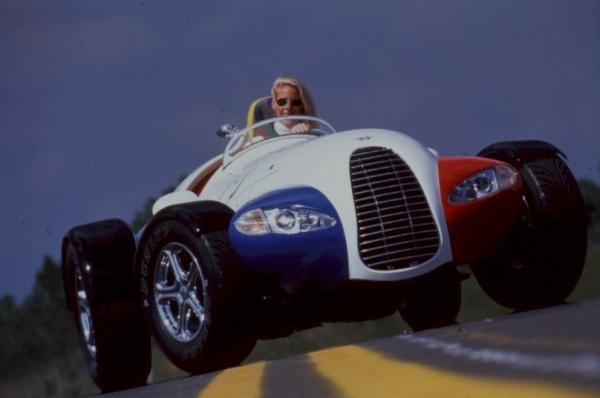 As to the suspension itself, it is a aluminum coil over suspension which was specially developed for the “sQuba” and which is based on the KW Variant 2. The technology of the Variant 2 is determined to adjust the damper setting to fine tune the system to the customer’s needs. The adjustable rebound damper allows adjustment of pitch and roll behaviour of the vehicle, adapting it to one’s driving preferences. 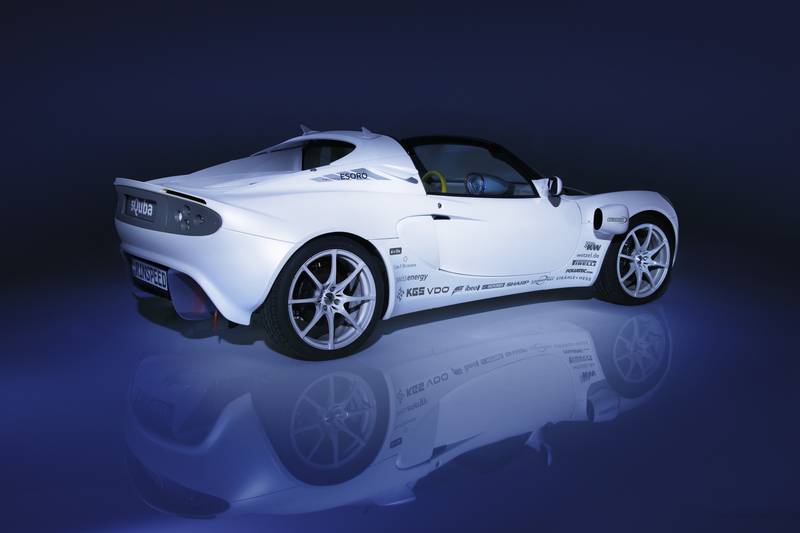 KW automotive GmbH is known in the industry for its premium products in the field of car styling. 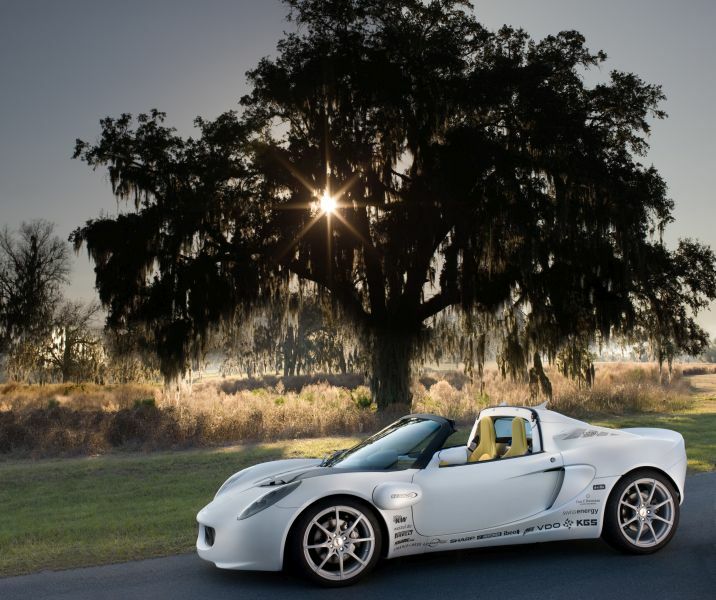 The company offers its customers the largest range of adjustable suspension systems. 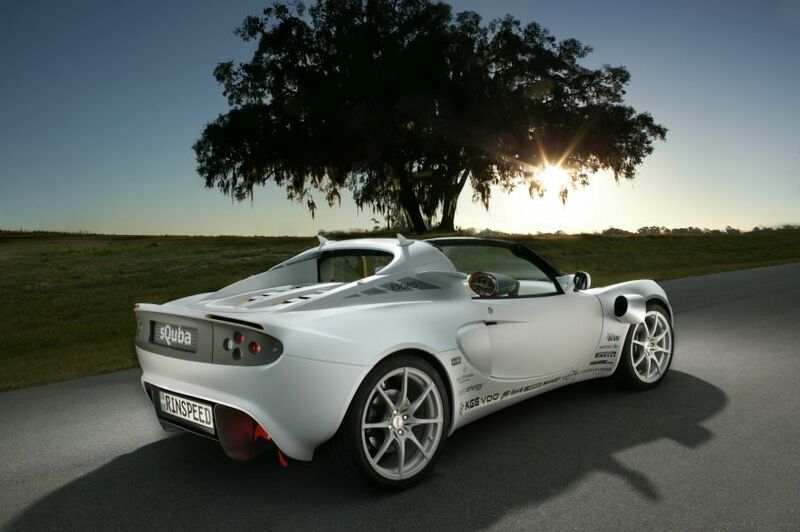 The whole range - from springs and sports suspension systems to adjustable coil over suspension systems “inox-line” in three damping variants - is unequalled on the market in its scope and variety. 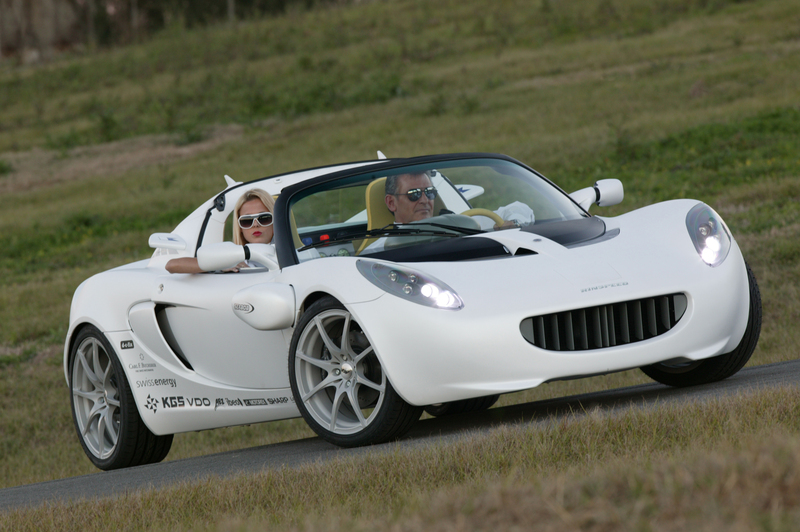 Further KW automotive GmbH develops race suspension technology for national and international motorsports. 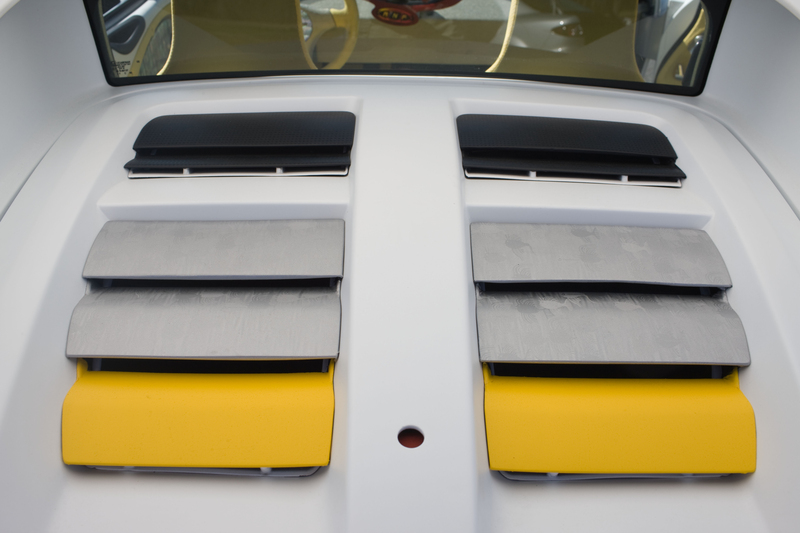 The racing product range KW competition is used successfully by several race teams on many race tracks worldwide. Also manufacturers and top level tuners have partnered with KW automotive for their suspension needs. They have invested in KW’s suspension expertise to develop vehicle specific performance suspension solutions of their vehicle platform. There are now over 140 employees at the company's headquarters in Fichtenberg, ensuring that top-quality products continue to leave the factory. 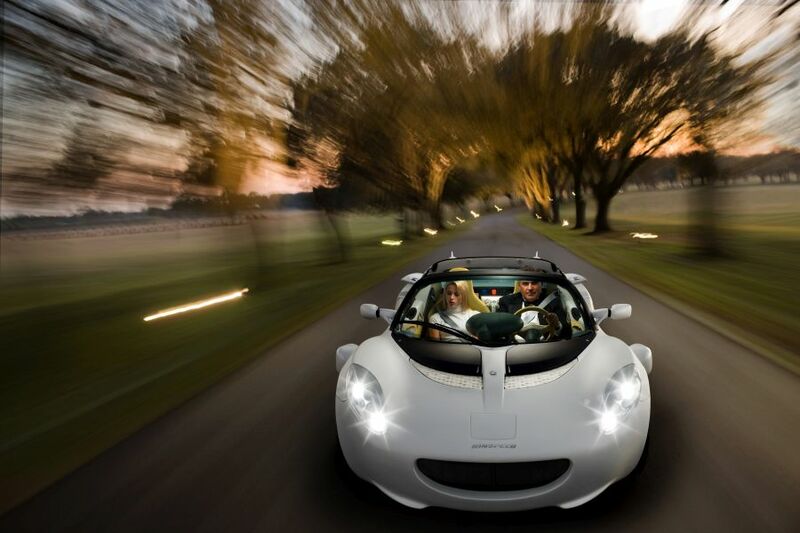 KW automotive GmbH has established subsidiaries at five different locations worldwide, and now employs a total workforce of 200 - and that is a rising trend. 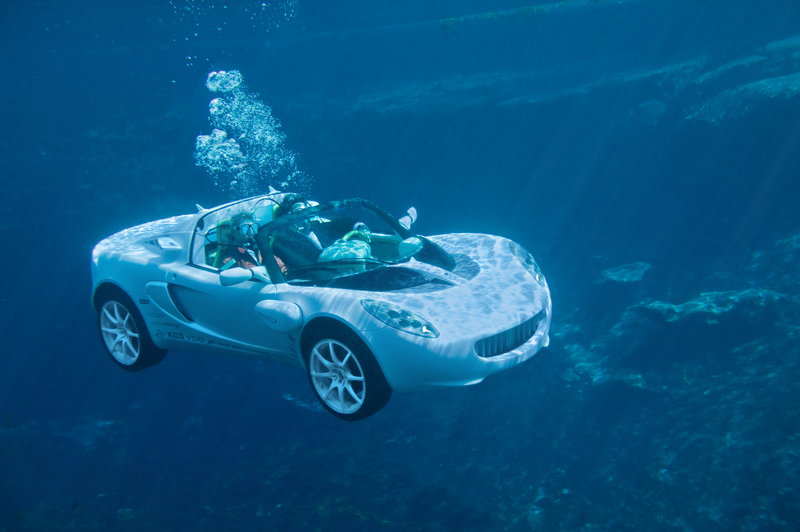 On March 6th the first diving car sQuba will make its world premiere at the Geneva Motor Show. 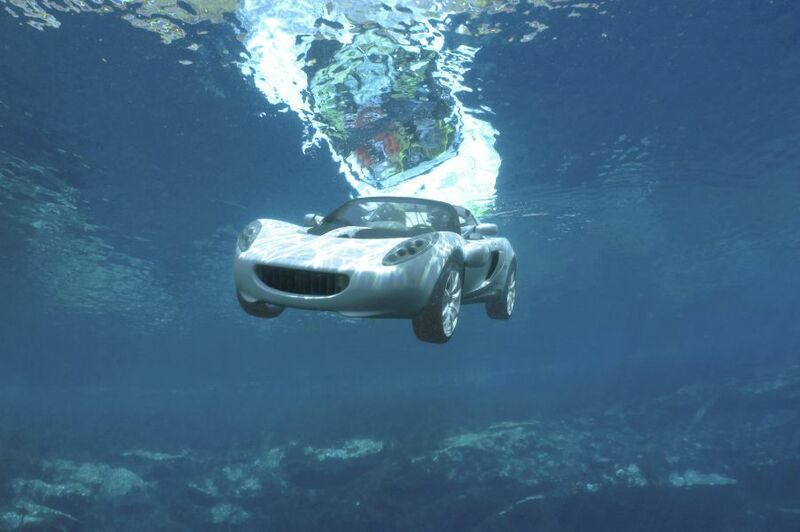 Visitors may well rub their eyes and ask themselves whether it really is possible to glide above and below water in a car with zero emissions and no environmental pollution.  LeasePlan (Switzerland) AG, the leading fleet management provider, is very enthusiastic about this idea and is supporting Rinspeed with its implementation. 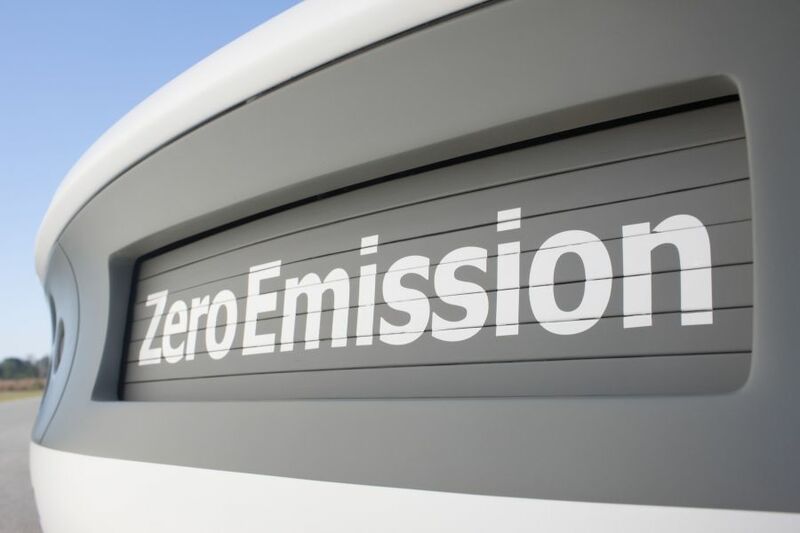 LeasePlan also wants to help reduce CO2 output in its core business, the management of fleet vehicles. The long-term and company-wide commitment to GreenPlan should support this. GreenPlan deals with all questions with regard to ecologically and economically favourable mobility. With this service, LeasePlan offers comprehensive advice on company vehicles and assists customers with their efforts to implement a climate-friendly and sustainable vehicle policy. 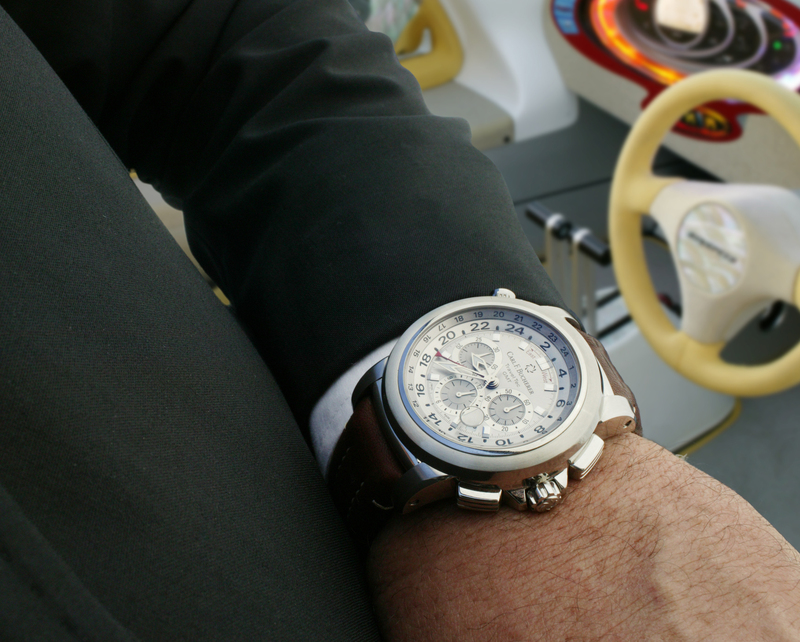 LeasePlan is the leading fleet management provider and is active in 29 countries. 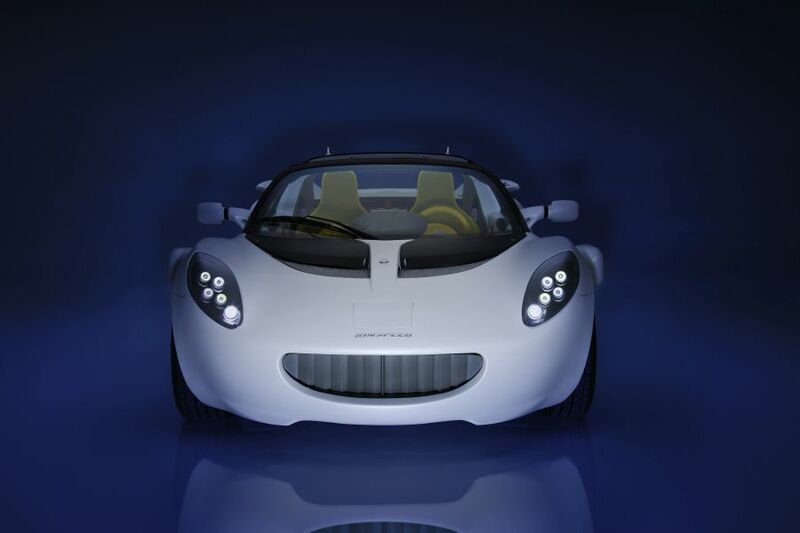 Approximately 5,900 employees manage around 1.28 million vehicles worldwide. 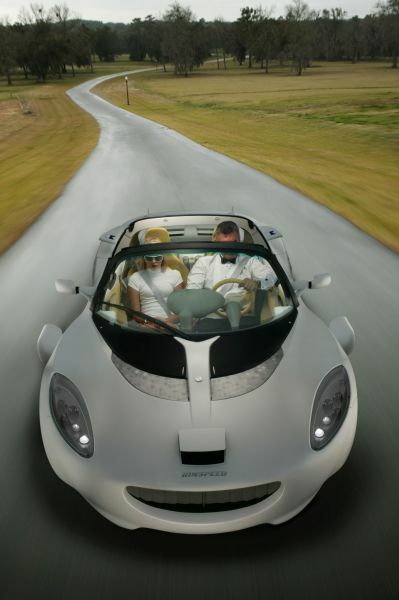 On the Swiss sites of Dietikon and Nyon, approximately 90 employees are responsible for 28,000 vehicles. Switzerlands biggest lubricant producer Motorex supports the latest concept car project from Rinspeed with a lot of technical know-how in lubricants and greases. The goal of this partnership is to make the vehicle „pollution free“ not only in the engine, but also with the lubricants and greases. For the “sQuba”, the Motorex specialists have put together a very special lubricant plan. Motorex has made all the lubricants and greases in use rapidly biodegradable. 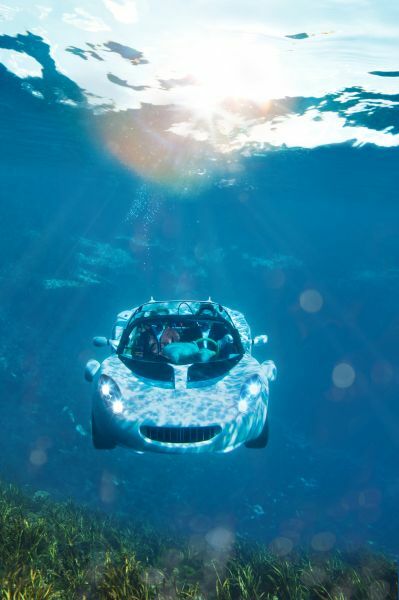 Frank M. Rinderknecht states: „Because we have used a zero emission engine, it was very clear to us from the beginning that we wanted to minimize the pollution in every aspect, especially because this vehicle also moves in the precious element of water. With Motorex, we have found a partner that was able to address the specific demands that we had and could optimally support us in the development. 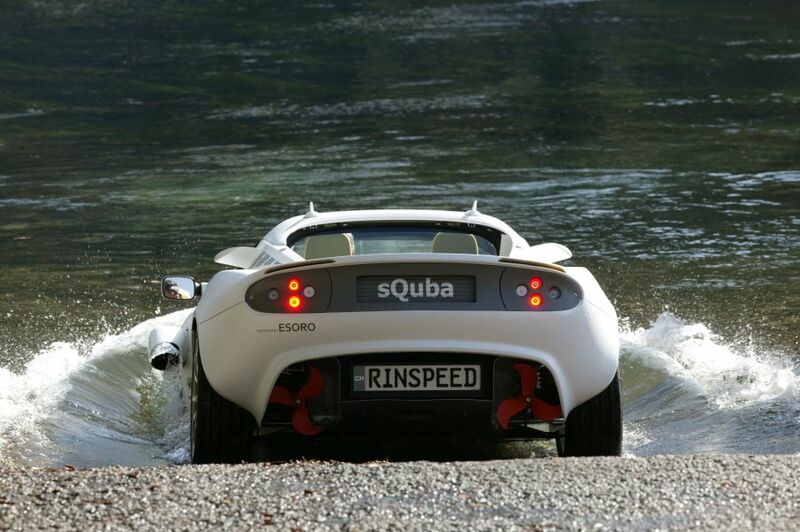 Manuel Gerber, Head of Communications at Motorex: “The partnership with Rinspeed for the sQuba was an interesting challenge. At the same time, it was another possibility for us to proove our readiness for the future, our innovation power and our flexibility. 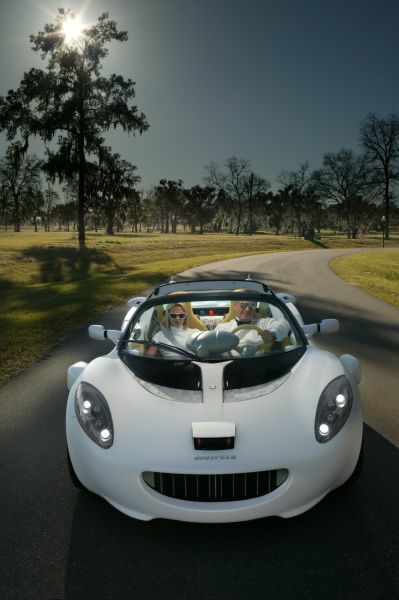 We could profit from our years of experience in rapidly biodegradable products in many different areas of applications. Pirelli Tyre is the world's fifth largest operator in terms of turnover on the tyre market, with levels of profitability among the highest in the sector. Pirelli Tyre is today the operational holding company for a group involved in the design, development, production and marketing of tyres destined for various types of vehicle: cars, light vehicles and motorcycles (Consumer sector, 70% of revenue), buses, trucks, agricultural and earth moving machinery, and the production and marketing of steelcord (Industrial segment, 30% of revenue). 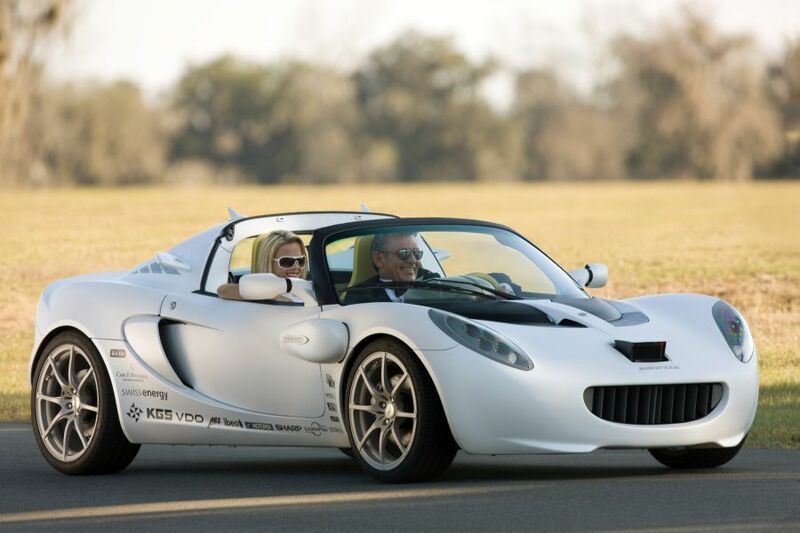 Within this market, Pirelli Tyre focuses in particular on the high-end segments characterised by elevated techno-logical contents and high performance. These are segments in which Pirelli has established itself in positions of leadership with regard to both its car and motorcycle tyres: Pirelli tyres are today seen as synonymous with quality, emotion and ultimate performance. 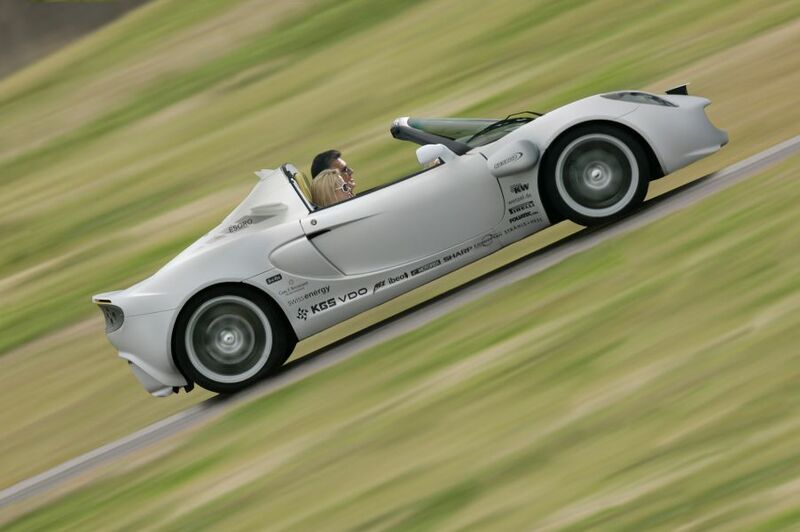 Drawing on its technological expertise, the group has consolidated working relationships with the world's leading car and motorcycle manufacturers; partnerships that have translated into a number of homologations for models from all the leading automotive firms. See it, and you'll be wonderfully surprised. Ride it, and you'll be hooked. Own it, and you'll never want to part with it: Seabob, the world's fastest diving and water scooter "Made in Germany", fascinates lovers of water sports. It is the embodiment of strength, technological intelligence and perfected function: Seabob powers through the water with 10 gears and up to 7 hp. 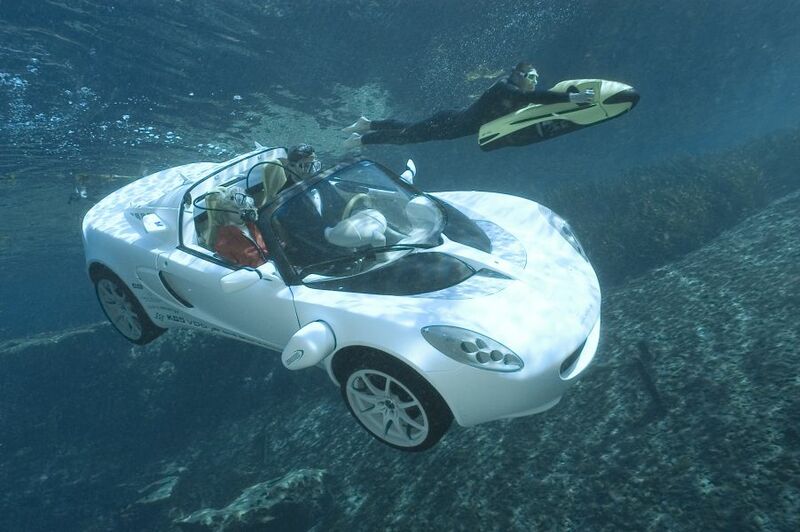 Its maximum speed is up to 22 km/h on the surface and 16 km/h under water. Seabob draws its power from 14 Li-Ion accumulators. 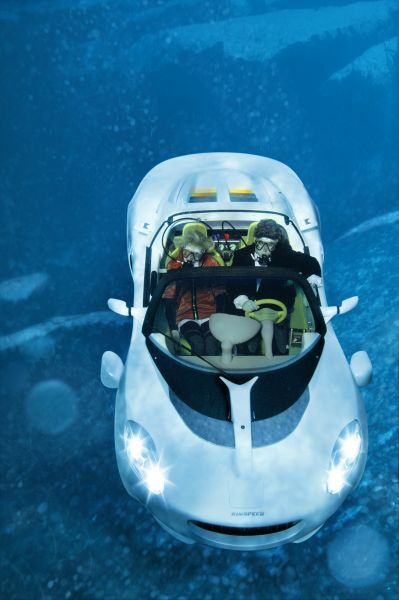 Seabob is developed and manufactured by Cayago AG in Stuttgart, Germany. There, expertise and passion blend together in the best quality and painstaking details. Even the contacts inside Seabob are gold-plated for a better transfer of energy. And the housing, for instance, is made of a special hard integral plastic that meets the highest standards. 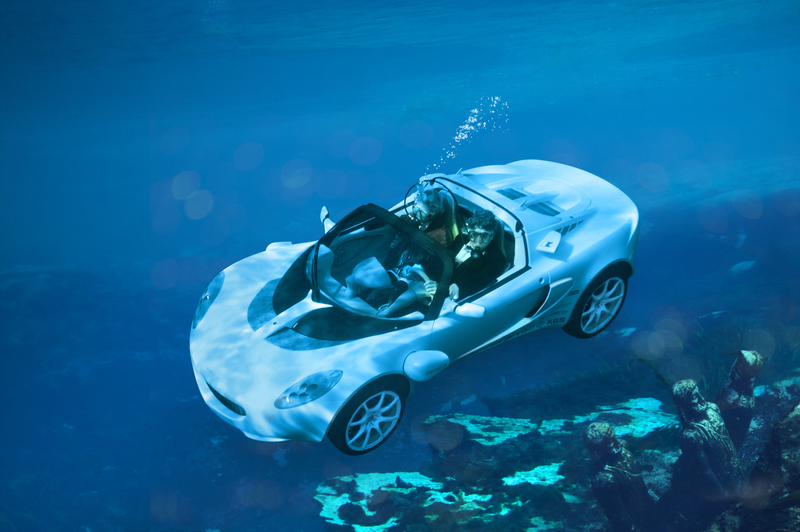 In addition to arguments such as function and design, Cayago AG also addresses environmental policies in the development of Seabob, and has designed an internationally patented electric jet- stream system that makes this elegant water vehicle entirely silent and emission-free in its performance. So it's 100% environmentally friendly. Seabob's diving depth is individually adjustable, and professional divers can glide down as far as 40 meters. 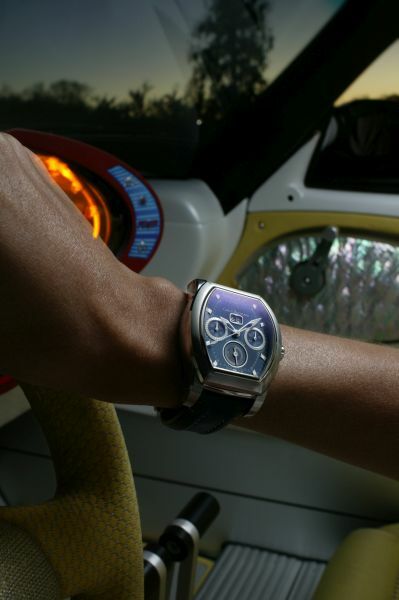 The illuminated LCD display in the cockpit provides the driver with all the important information such as current engine output, remaining operating time, diving depth and water temperature. The Seabob is available in four models, various colors, and lots of practical accessories. 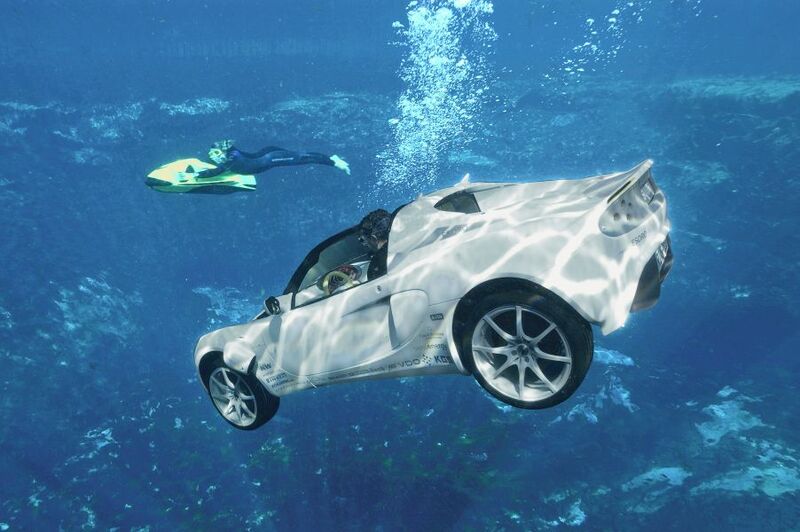 Thus, for instance, the new Cayago F7 has a specially developed belt system that transforms the tremendous thrust of 70 kg into a relaxing driving experience and exceptional agility in the water - whether the rider is in 1st or 10th gear, diving to 2m or 40m. 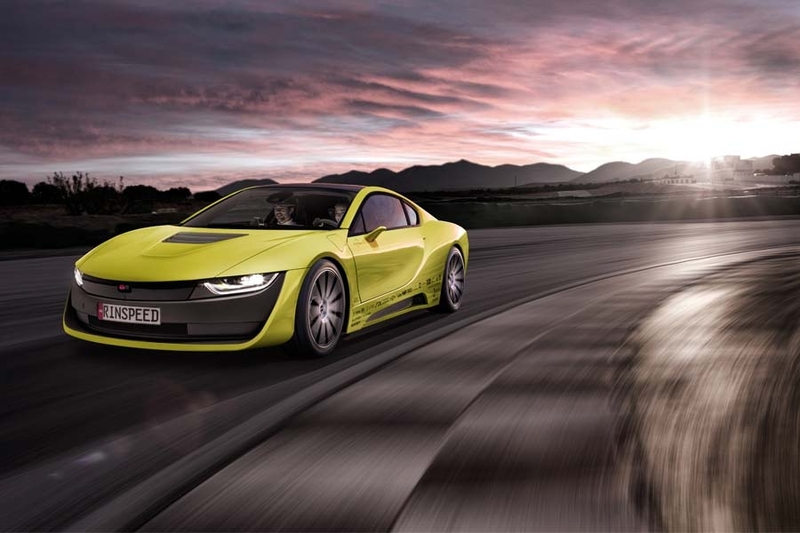 The well-known Swiss design and concept company Rinspeed is working in collaboration with the leading LCD TV manufacturer Sharp on the new "sQuba" concept car. 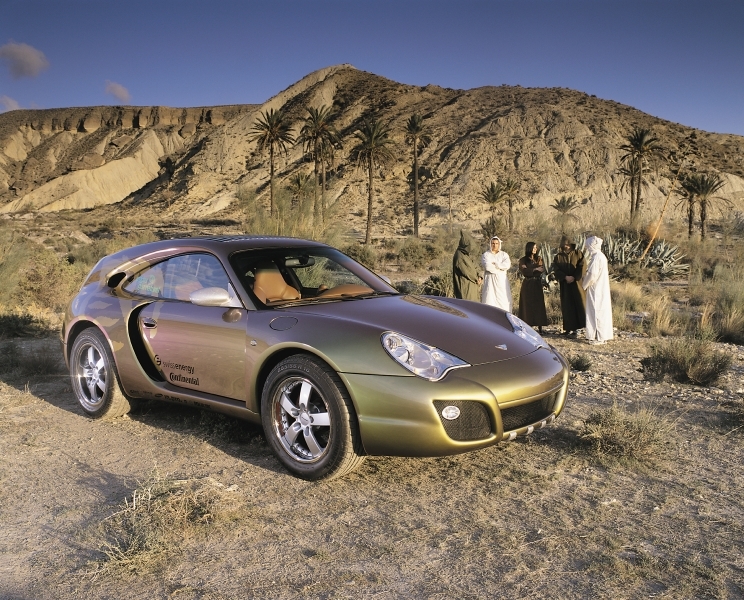 An extraordinary vehicle deserves a unique introduction. 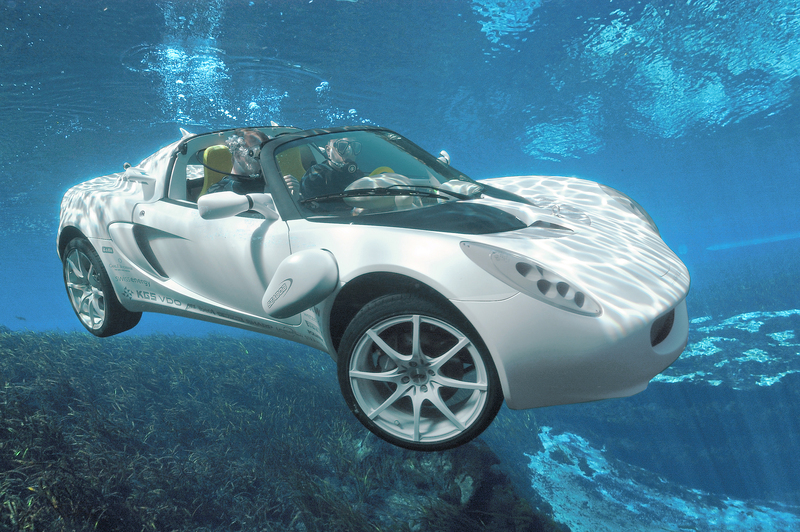 And Sharp is making sure it will get one with the latest full HDTVs (best HDTV picture quality via high resolution full HD displays), which will highlight the ideas and characteristics behind this submersible, revolutionary vehicle for the viewer in a needle sharp color brilliance unlike any other before,. Sharp worldwide: The company, which employs more than 55,000 people worldwide, is active in nearly all fields of electronics and offers an enormous range of products. Among other things, Sharp is the world market leader in LCD flat screen televisions and solar collectors; two areas of major significance in today’s times. LCD technology is inseparably linked with the Sharp name: Ever since the introduction of the first LCD calculator in 1973, Sharp has been a major player in the liquid crystal display industry. It is no surprise that the newest generation of LCD televisions comes from the Sharp factory Kameyama II in Japan, which is one the most modern production plants anywhere in the world. Sharp is the market driver and trend setter for premium TV. Sharp, the inventor of the LCD TV, implements the following formula for success in today’s flat screen TV business: large screen diagonals, high quality equipment, and noble design. The disproportionate growth of the still small segment of LCD TVs with screen diagonals > 42 inches is especially impressive. Sharp recognized this trend early on and got in on this highly lucrative market from the very beginning. Sharp solar technology: Sharp has almost 50 years‘ worth of experience in solar energy and is the driving force worldwide for an intensified, environmentally friendly use of photovoltaic technology. The company manufactures light concentrators as well as mono-, poly-, and microcrystalline solar cells and modules. In addition to three module factories in Japan and one in Tennessee (USA), the Wrexham factory in Wales (UK) has been manufacturing solar modules to generate electricity for the European market since 2004. In Europe, the solar pioneer also purchases glass and silicon for cell and module manufacture and collaborates with its business partners in the installation of solar power facilities. Whether it’s the color mood; choice of materials or the workmanship – the wonderful underwater world with its fascinating light and interplay of colors and Q’s genius were the inspirations for the sQuba’s interior designs. The color palette takes its cue from the dazzling color of the Yellow Tail Snapper; its iridescent silver and its bright yellow contrast with the deep blue of the sea. The underwater world’s particular light refraction was translated into reality using exceptional yarns and their individual combination. “We would like all our textiles to be at the centre of attention thanks to the special light they emit or reflect,” says Claudia Khalil, Chief Designer at Strähle + Hess, when describing the company’s materials philosophy. 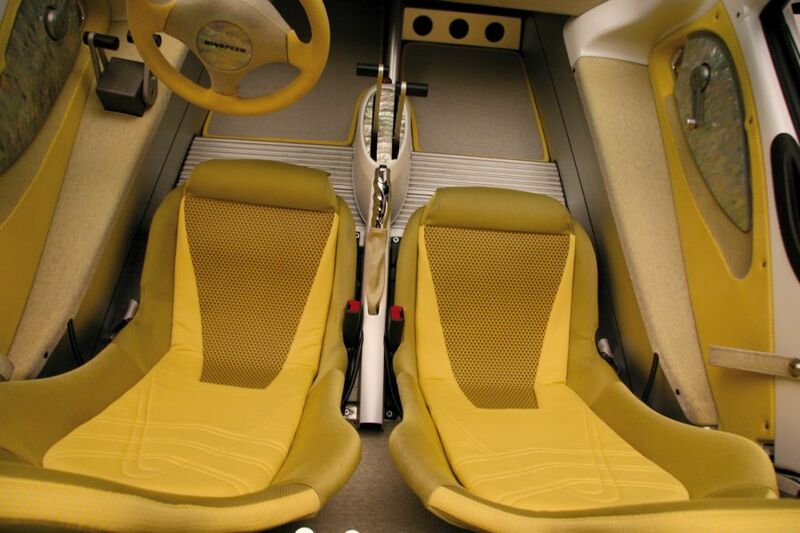 The vehicle seat is the central element pulling together all the textiles used in the vehicle. The knitted fabric has been designed with a silver/yellow fish scale texture; the padding has been finely quilted and has a harmoniously distinctive herring bone pattern. To ensure that nothing can slip while on Her Majesty’s Service - either above or below water - Strähle + Hess have gone for a diamond-coated non-slip textile in silver/yellow with a “sushi roll” on the edges for additional grip. The elegant diamond material has also been used on the pedals and combines a safety function with a mysterious shimmer. In its own small premiere Strähle + Hess is presenting an intelligent combination of weaving and twisting – “DREBEN” – used for the first time on the sQuba. The seat is edged with a blue/yellow “tweaved” stripe, giving it a visual focus and definition in contrast to the other textiles. To enable water to run off better when surfaced all the materials are backed with a spacer fabric open on the inside; the ensuing capillary function allows the textiles to dry more quickly and prevents any excessive weight gain while submersed. 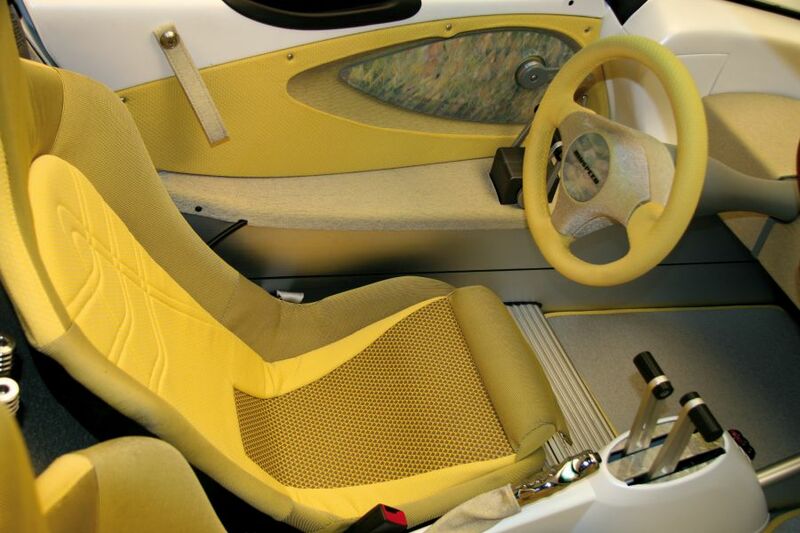 One of the most attractive, luxurious materials the sea has to offer has been used for the door linings, steering wheel and gear knob: mother-of-pearl. 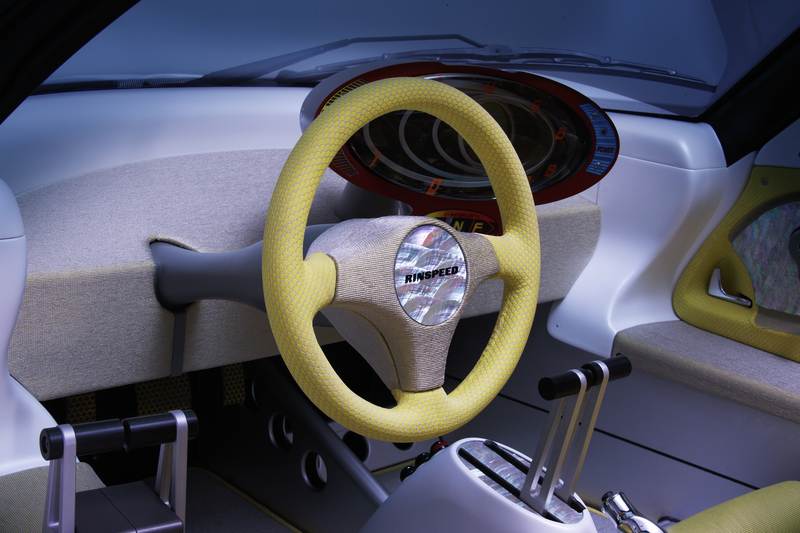 Veneered like a fish scale the elegant organic material on the gear knob corresponds to the pearly fibred yarn, also manufactured using the “tweaving” process, which discreetly shimmers under the textile coverings and on the display. Pure luxury for any vehicle. 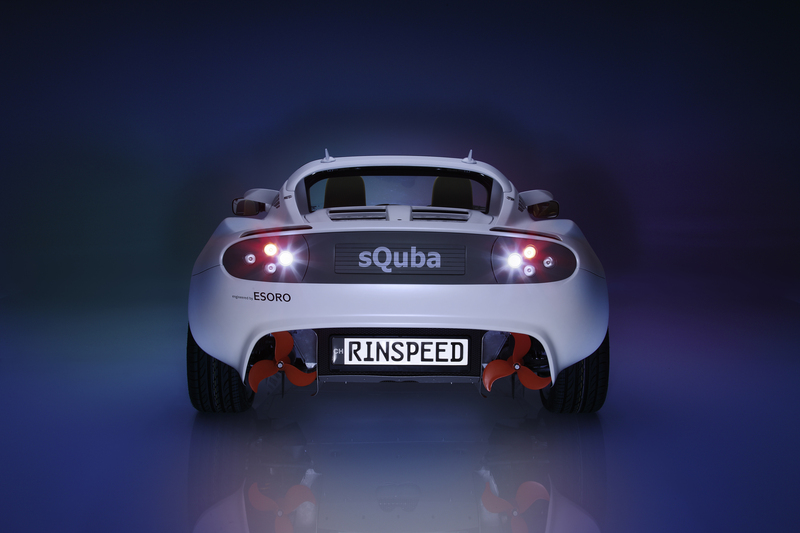 The sQuba is the continuation of our successful collaboration with Frank M. Rinderknecht and his Rinspeed team. Another dream has become reality. We would like to express our thanks for the productive collaboration and the opportunity to make “007” very envious. Strähle + Hess GmbH - profiling ideas - a Sellner Group Company: Founded in 1926 the company manufactures highly specialised technical textiles for vehicle interiors. The company headquarters are located in Althengstett near Calw, 40 km west of Stuttgart. Here 150 employees design, develop and produce state-of-the-art seat components and textiles for coverings and sealing systems. 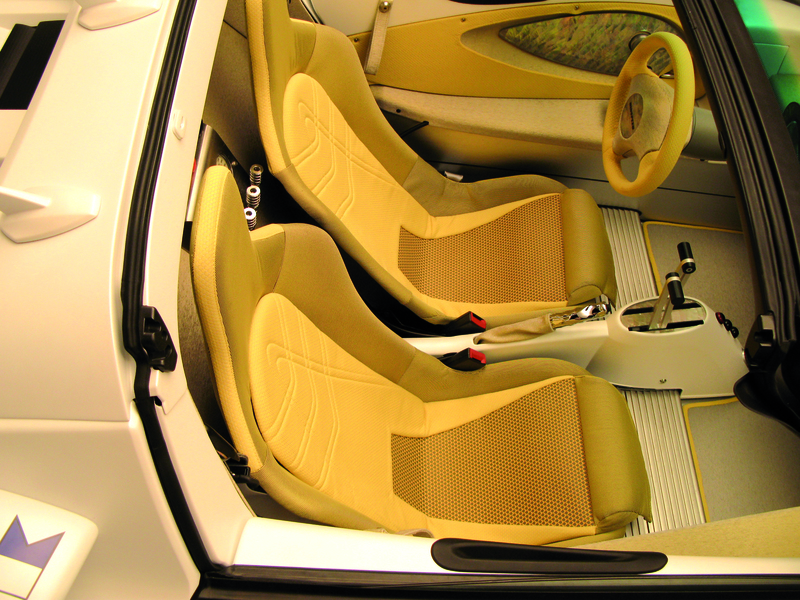 With its wide-ranging experience and technical know-how; with numerous patents and need-based engineering services the company is today one of the world’s leading providers of specialist textiles for interior and exterior applications in the car manufacturing segment. The innovative and versatile company has been part of the Sellner Group since 2007 and has thus realized another goal in its long-term strategy of further development within the market. 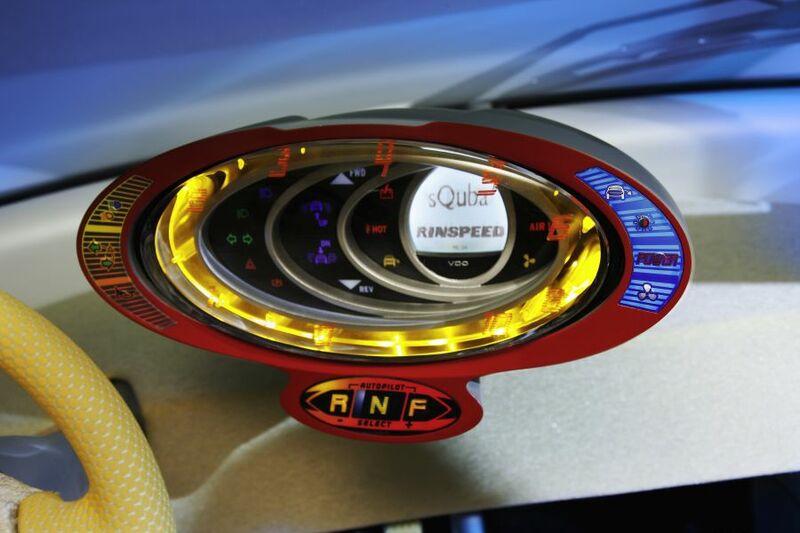 For the latest Rinspeed study, sQuba, Continental has developed a unique instrument cluster, marketed under the VDO product brand that brings all of the important information and features together. As befits the world’s first vehicle that can drive on land, on the water’s surface, and underwater, the designers took the shape of a manta ray for their inspiration, developing a cockpit with fluid lines in which the shapes of the individual instruments seem to float. 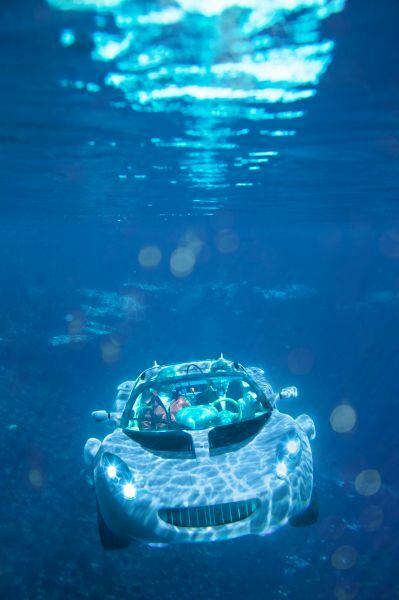 All of the dials, which are lined up like lenses, the control lights, and the digital display are brought together in a single aluminum housing that is waterproof and resistant to salt water at depths of up to ten meters. 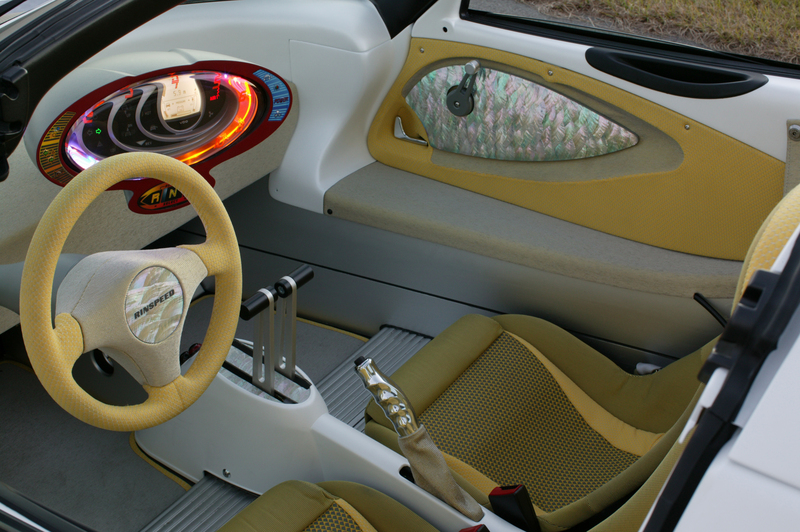 The cluster is lavishly lighted and covered by a protective sheet of glass with built-in fisheye effect and a series of operating buttons for functions such as transmission control that are completely covered with plastic film, can be pressed accurately even when wearing thick diving gloves, and can give the driver tactile feedback. 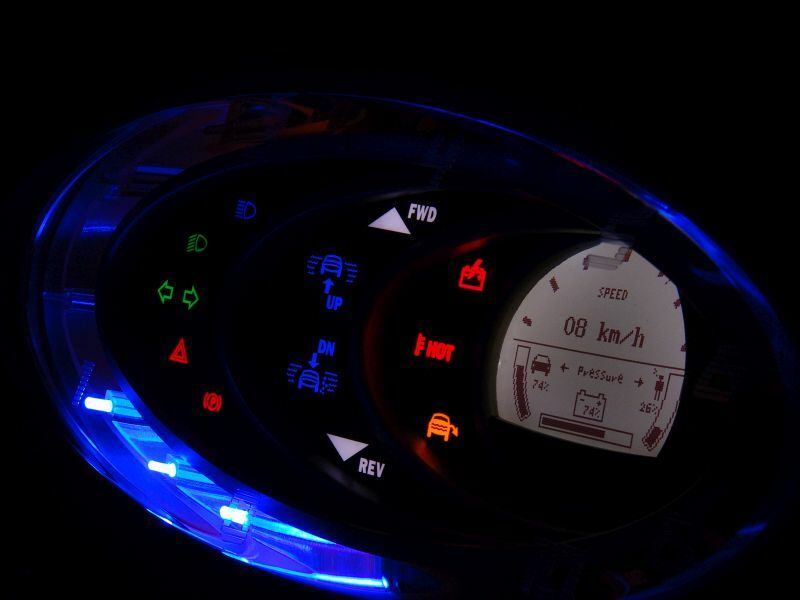 In its work on this unique instrument cluster, the company is utilizing the many years of experience it has accumulated in its many divisions and fields of business. After all, the component supplier not only has all the capability of more than 100 years of automotive instrumentation, but is also a market leader in original equipment for agricultural, construction, and forestry machinery and instrumentation for sports boats, making it intimately familiar with the tough conditions both on and under the water. 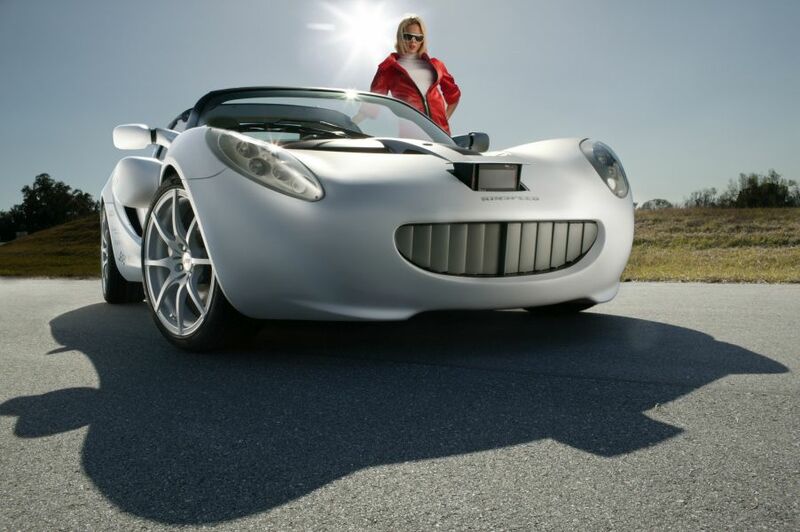 This extraordinary Concept Car created by the famous Swiss Rinspeed Design Company could have come straight out of a James Bond film. 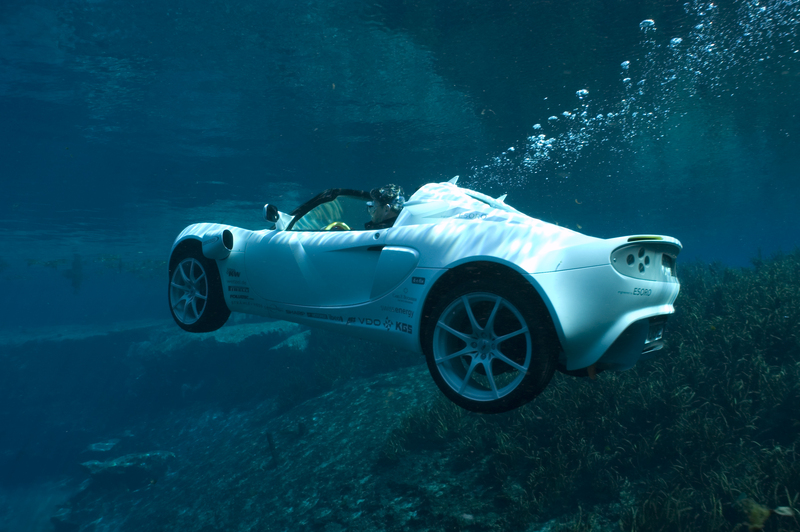 Its ability not just to drive along the road – and that on autopilot at the press of a button – but also to continue along its route through water, diving to depths of ten meters, breaks the bounds of the imagination of many people when they think of a car. Its unique bodywork, designed to echo that of the Lotus Elise cult sports car, is being complemented by a whole new world of colorful experience. Wetzel set themselves these high demands before taking on a task that required a creative and technically highly sophisticated approach. Through a combination of state-of-the-art digitalization processes and innovative laser technologies, Wetzel has been able to carry out virtually all kinds of surface structuring. Alongside any designated surface structures, the most delicate surface structures for each and every function can also be engraved on surfaces in future. Indeed it is our object to combine the best functional properties with attractive design. The Wetzel Group is setting standards in the printing and embossing industry and, as a globally aligned company, has a presence in all the important markets in the world. This internationally active Group, with its headquarters in Grenzach-Wyhlen, has established itself over many years as a reliable partner company for the entire printing and embossing industry. Solutions from the first idea to the finished product are realized in-company. It is the comprehensive variety of products and the creative way we develop them that make Wetzel the ideal partner company for your projects. 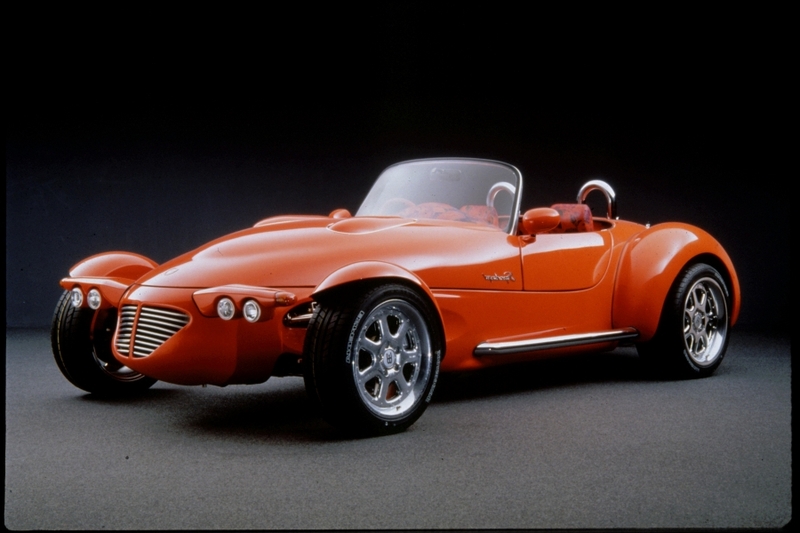 And this was exactly the case with the “sQuba project”; where a specially embossed foil was developed to cope with an extended range of functions, and to adhere to the vehicle like a second skin. This design, specially developed by Wetzel, stands up against all the demands made on it, even under water, and these demands go far beyond those necessary for any normal vehicle. 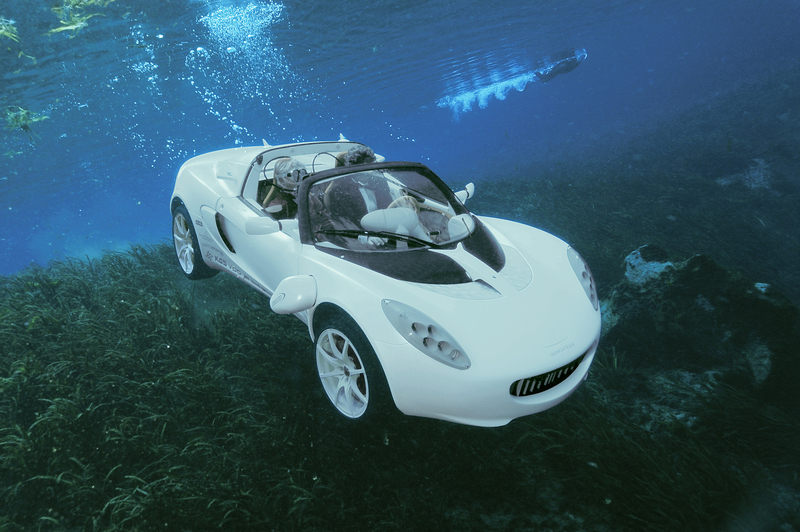 A skin like that of a shark with an aesthetically demanding, textured surface with a sleek and supple feel to it forms the bond between the vehicle and the underwater world. The finishing touches of this impressive design are achieved with a special 3D effect. The design and R&D departments of Wetzel GmbH have demonstrated once more how they have more than lived up to their reputation as a top-performing technological specialist in the sector of specialist foil embossing. This project, which has been realized in cooperation with Konrad Hornschuch AG, is guaranteed to draw attention to itself. 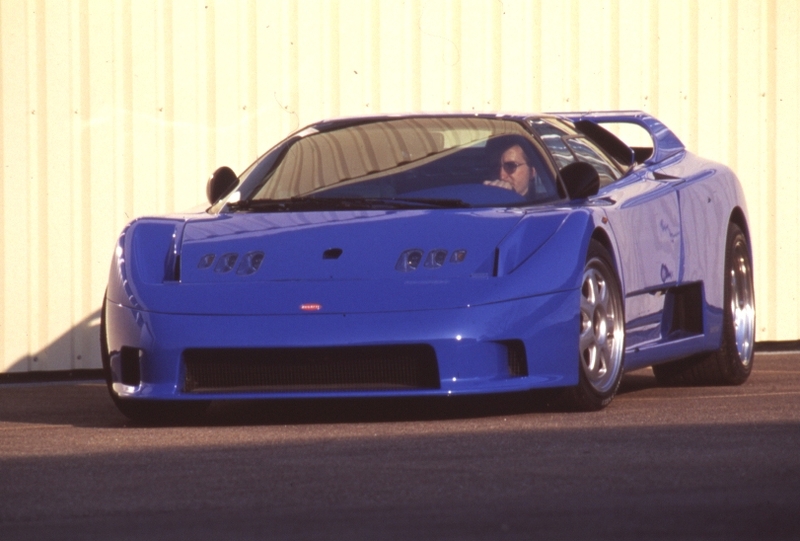 1999 | RINSPEED X-Trem M.U.V.